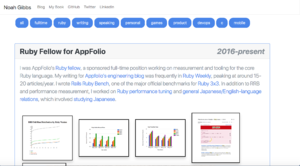 I was AppFolio's Ruby fellow, a sponsored full-time position working on measurement and tooling for the core Ruby language. 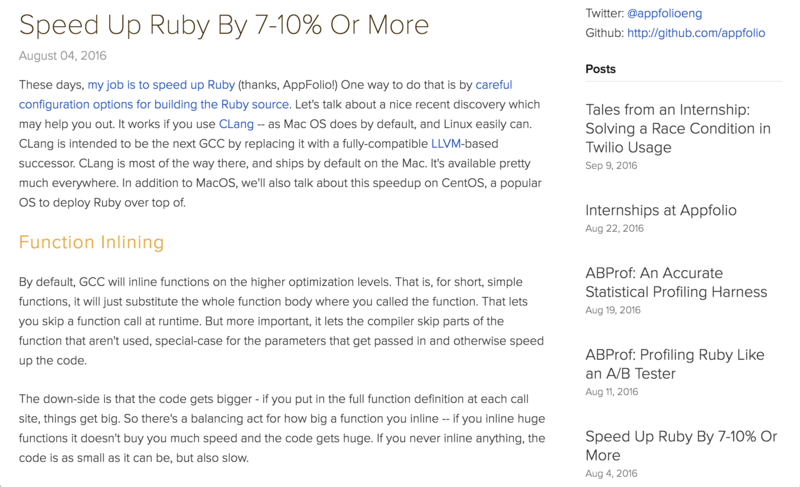 My Ruby 2.5 speed post was one of the most clicked-on Ruby links of 2018. 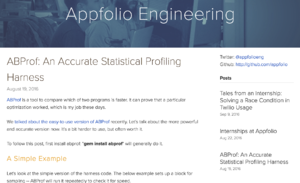 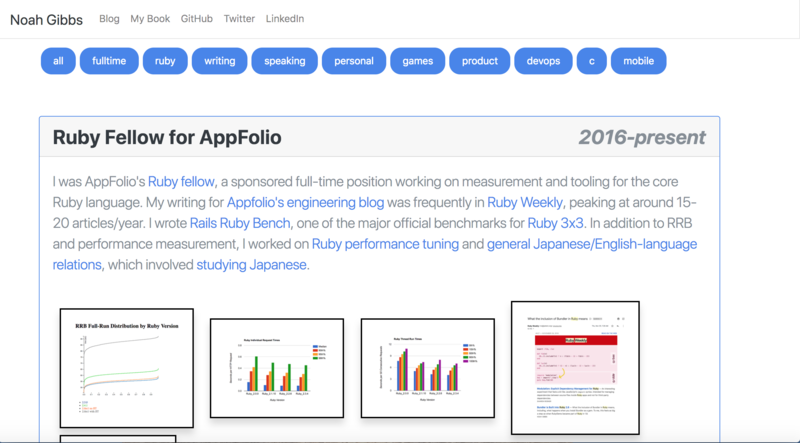 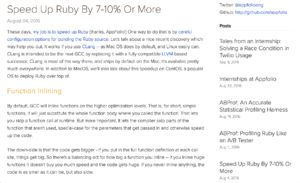 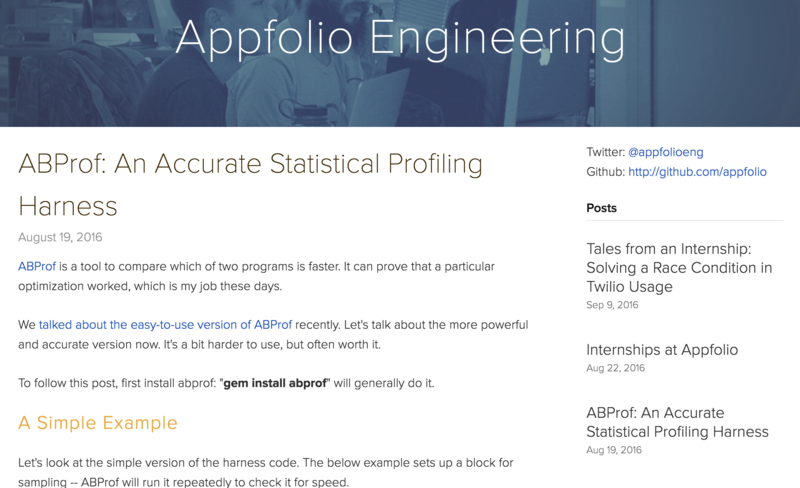 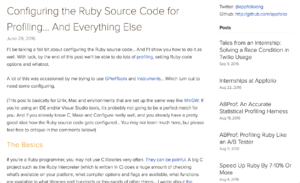 My writing for Appfolio's engineering blog was frequently in Ruby Weekly, peaking at around 15-20 articles/year. In addition to benchmarking and performance measurement, I worked on Ruby performance tuning and general Japanese/English Ruby relations, which involved studying Japanese. 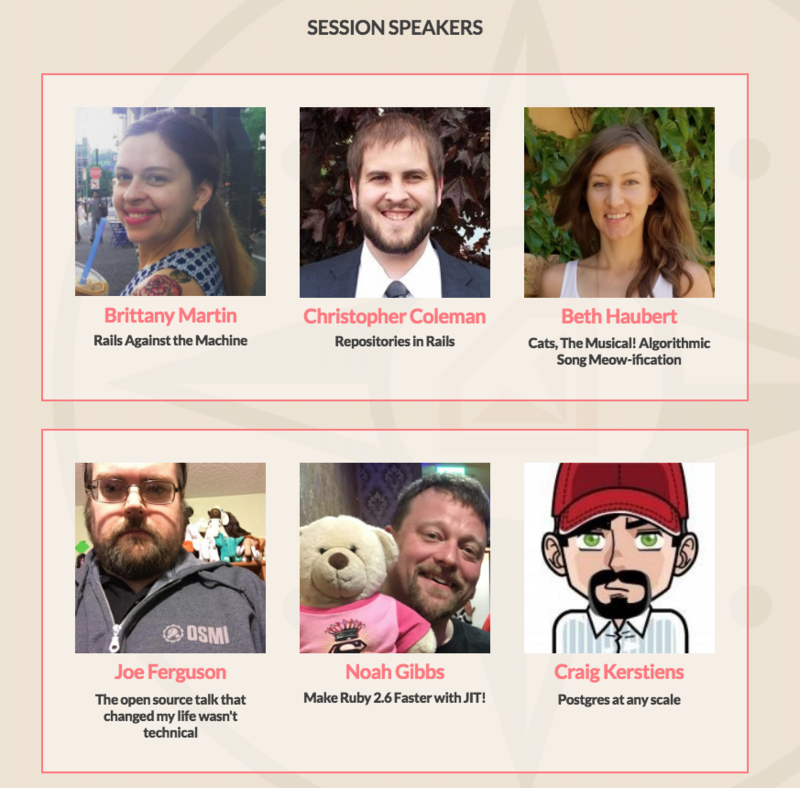 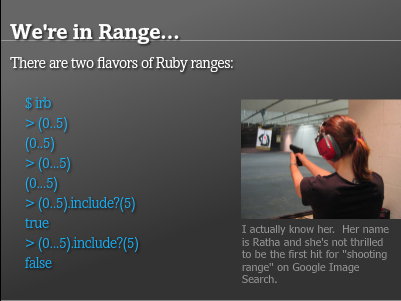 I gave a talk on Ruby 2.6 JIT in Nashville, at Southeast Ruby. As I write, the video is not yet available. 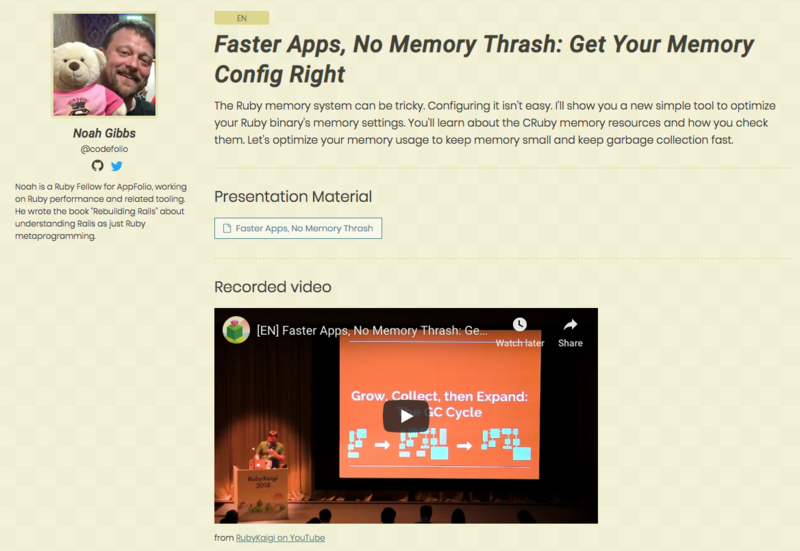 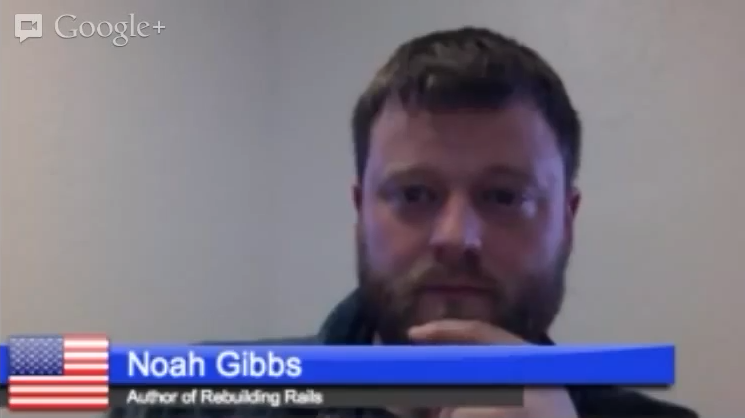 In 2018, I was again a guest on Ruby Rogues, this time about my more recent work on Ruby performance. 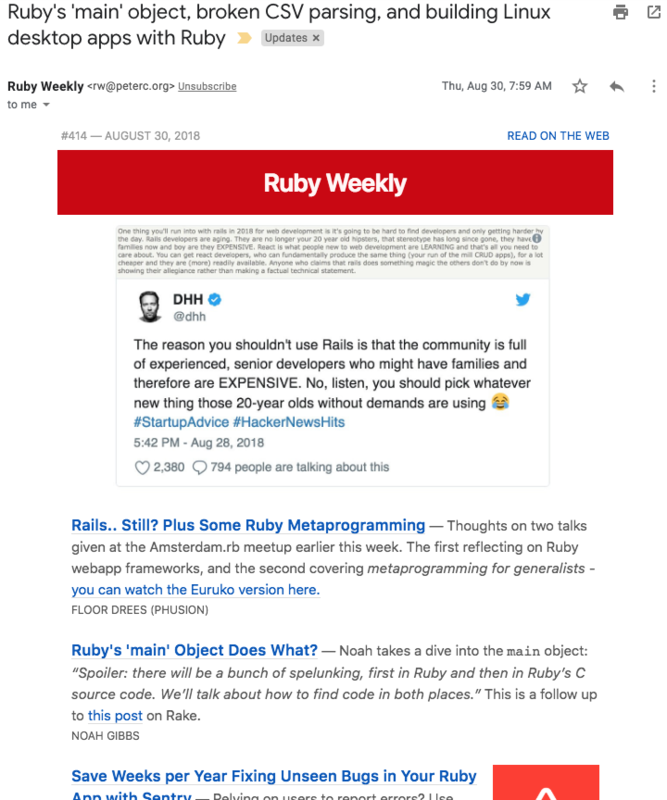 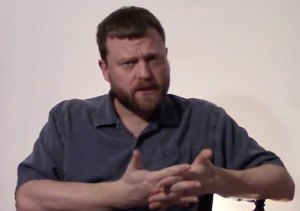 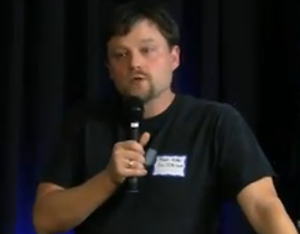 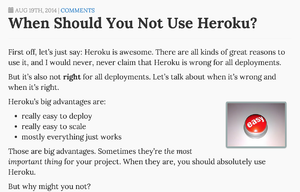 I was also a guest on My Ruby Story, also part of DevChat.tv. 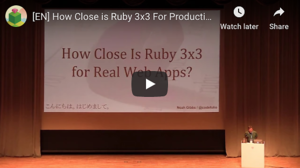 Jason Charnes and Chris Oliver had me on Remote Ruby to talk about JIT and about Ruby 3x3. 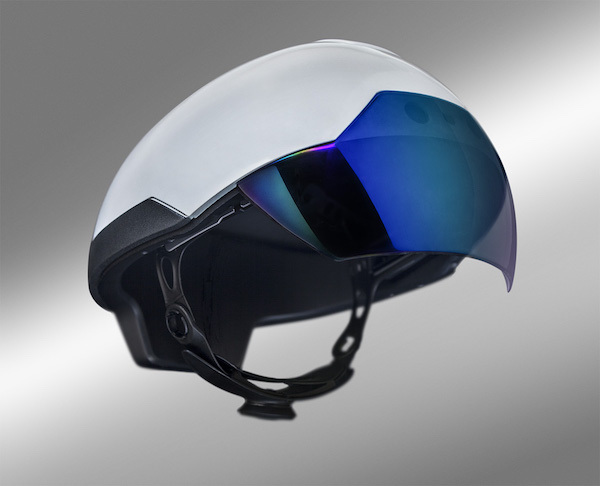 At DAQRI I was back-end services architect and team lead for a tools and infrastructure team for their Smart Helmet product. 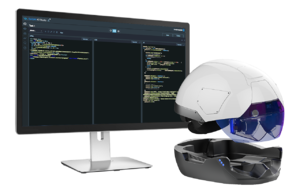 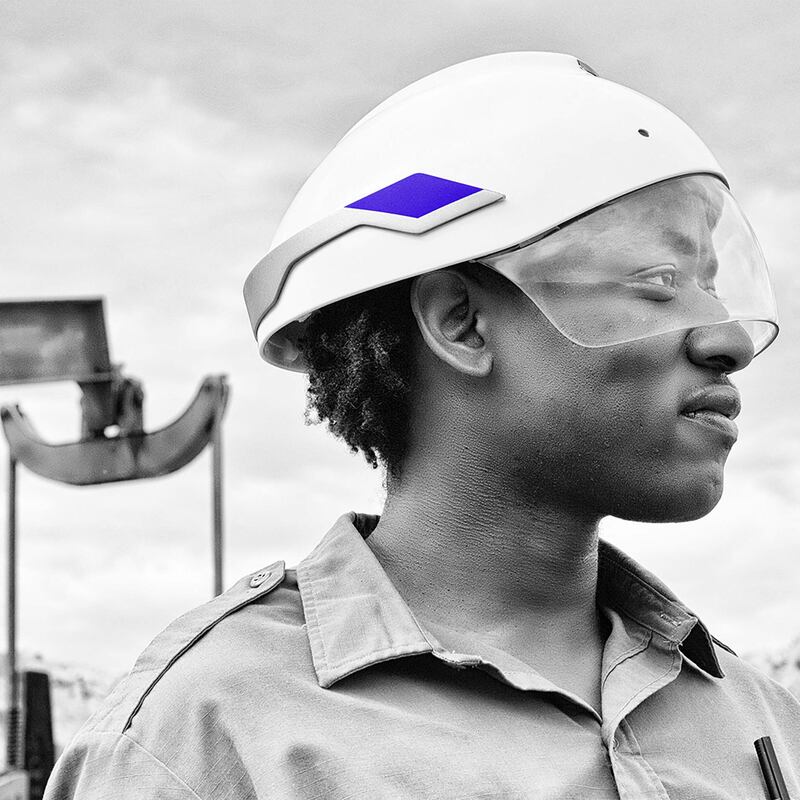 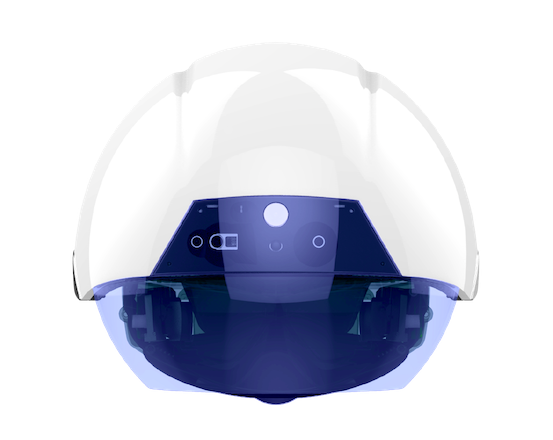 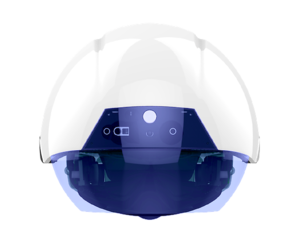 The smart helmet was designed for workplace safety, and we added monitoring, system configuration and automation to support reliability and auditability. Our infrastructure was AWS-based, using Puppet for configuration management. 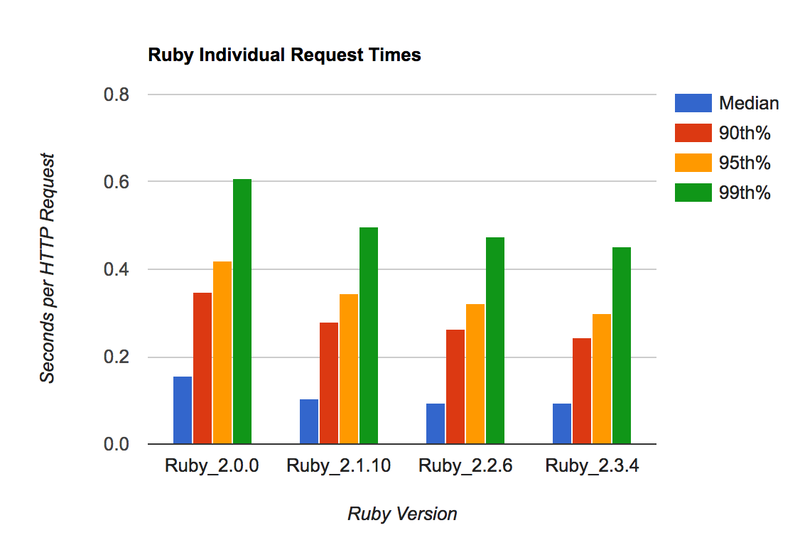 Our team was about 50/50 infrastructure tooling and app development in Ruby, with me doing both. 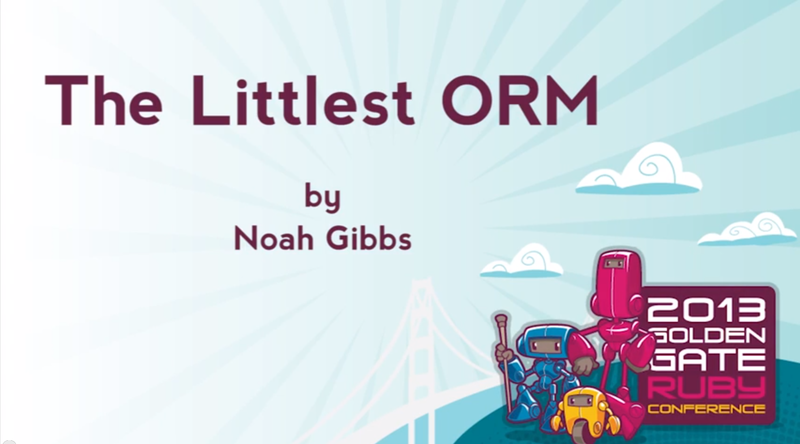 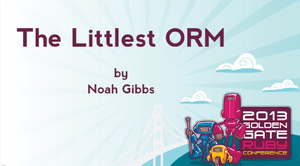 While at OnLive, I scrubbed and open-sourced older code, wrote and open-sourced new tools and started an engineering blog while coordinating with legal about code and information release. 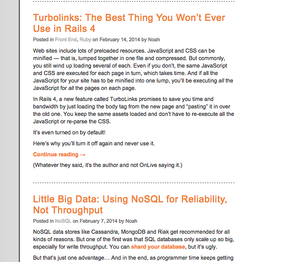 I wrote most blog content and some of the open source code. 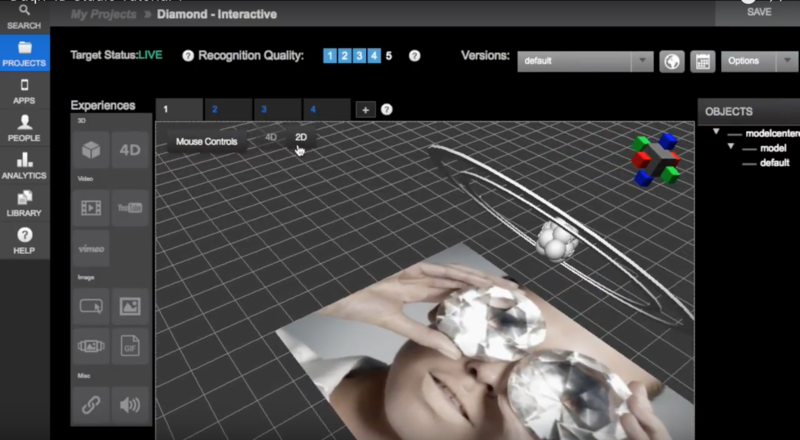 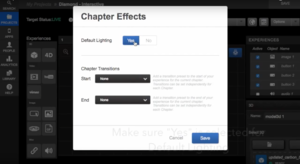 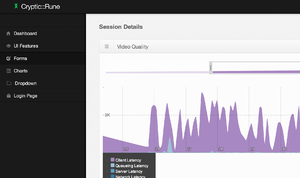 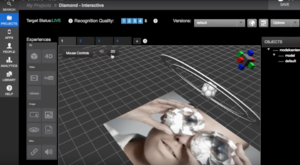 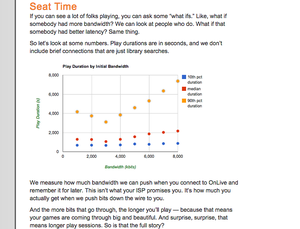 See the OnLive GitHub repository and the OnLive Engineering blog. 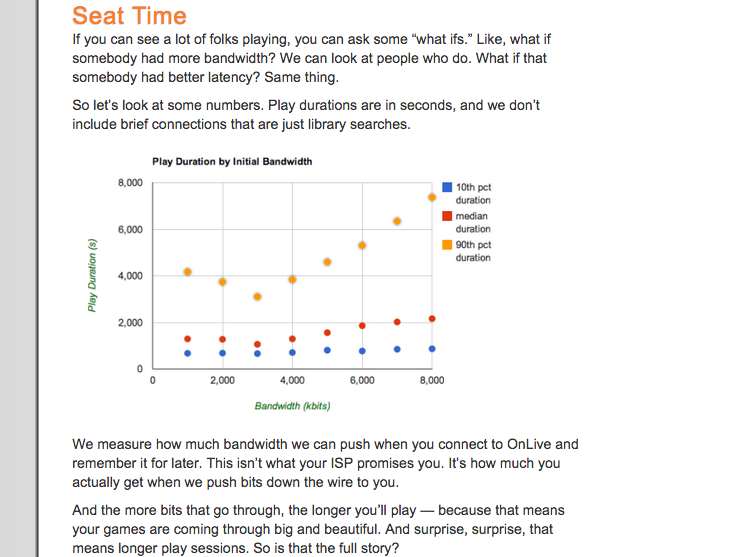 I served as OnLive's head of Analytics — the old team was gone before I arrived. 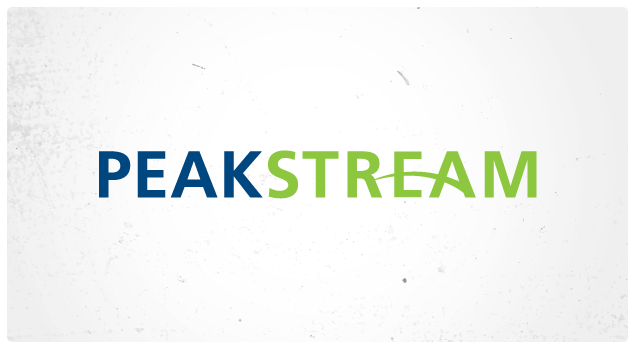 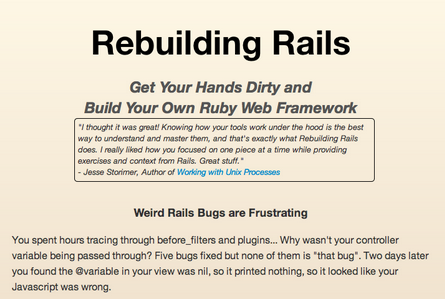 I analyzed, documented and debugged the system, and then began making upgrades while recruiting a team. 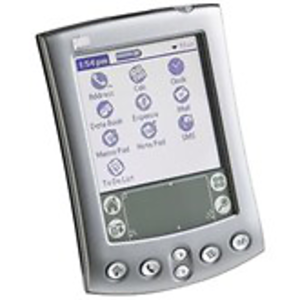 The existing system was enormous, and much cleanup work was replacing underused technologies with smaller, simpler replacements. 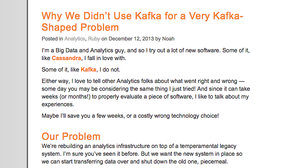 I also supported the Business Intelligence team's needs for new data sources and infrastructure. 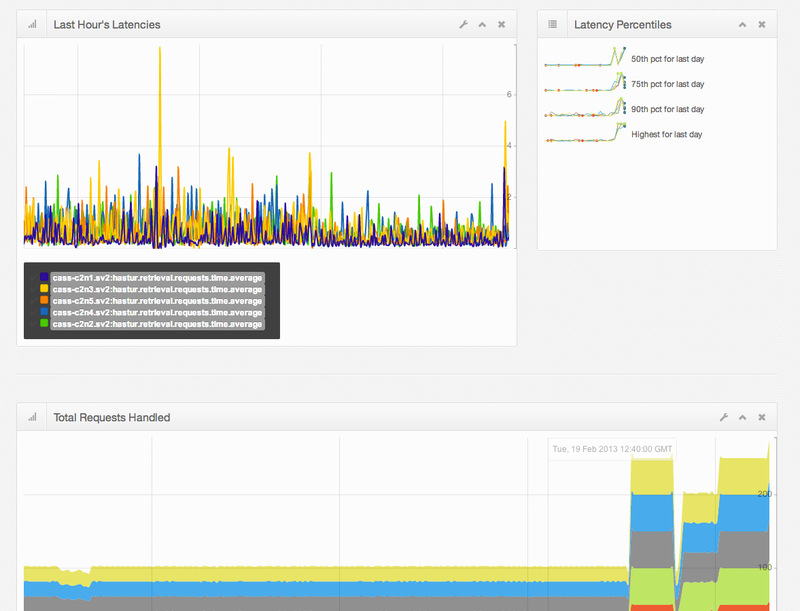 Technologies maintained and/or sunsetted included Pentaho Reports, Kettle, Coral8, Esper, InfoBright, sharded MySQL, Grails, Java, Tomcat, Flash. 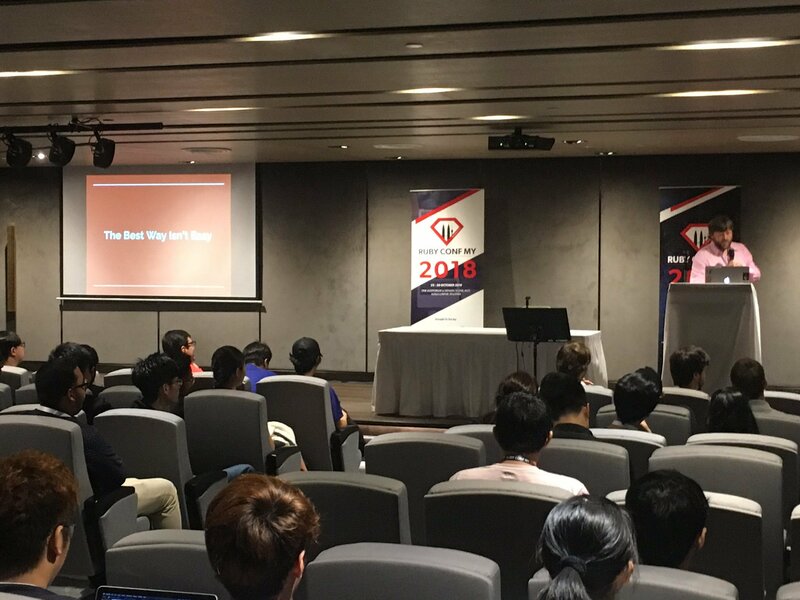 Newer technologies used or integrated with included Rails, ZenDesk, iPost. 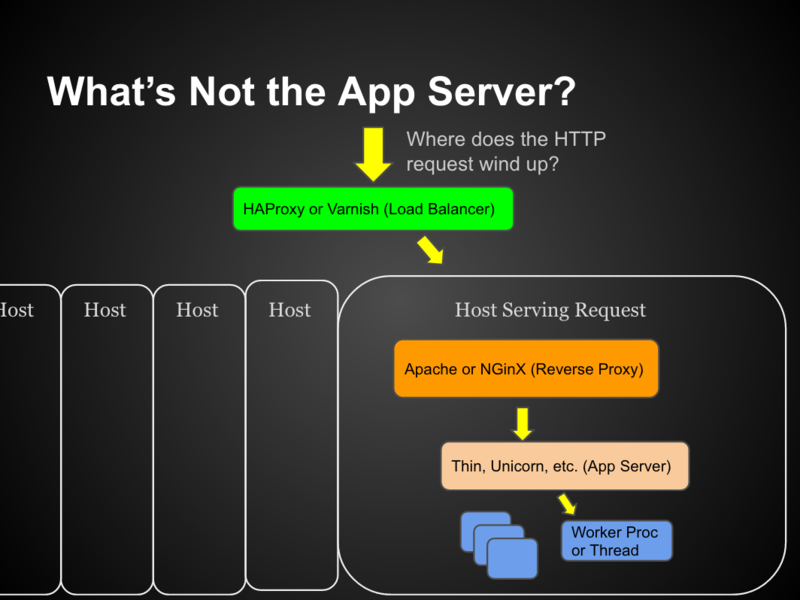 I was brought in to be technical lead for Valhalla, a prototype to replace an existing legacy allocation and scheduling system for back-end servers. 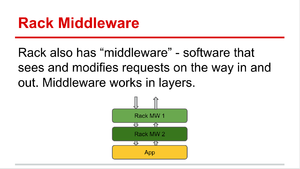 It used a novel dual-mode SOA/monolithic architecture based on Olaf, also written by our team. 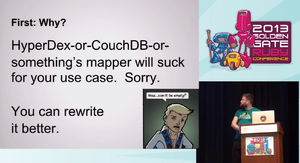 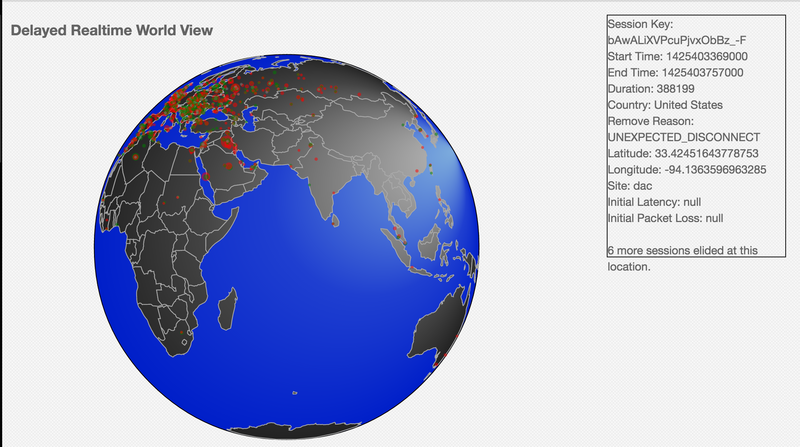 We attempted to use Cassandra for geographically distributed sync, with mixed results. 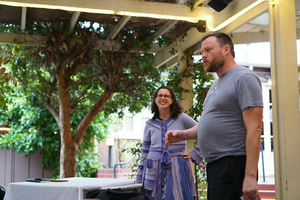 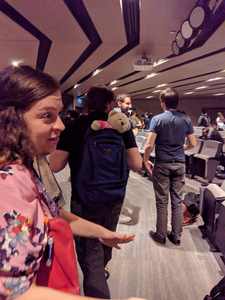 At Ooyala, I co-architected Hastur, a Cassandra-backed observability system, with Amy Tobey. 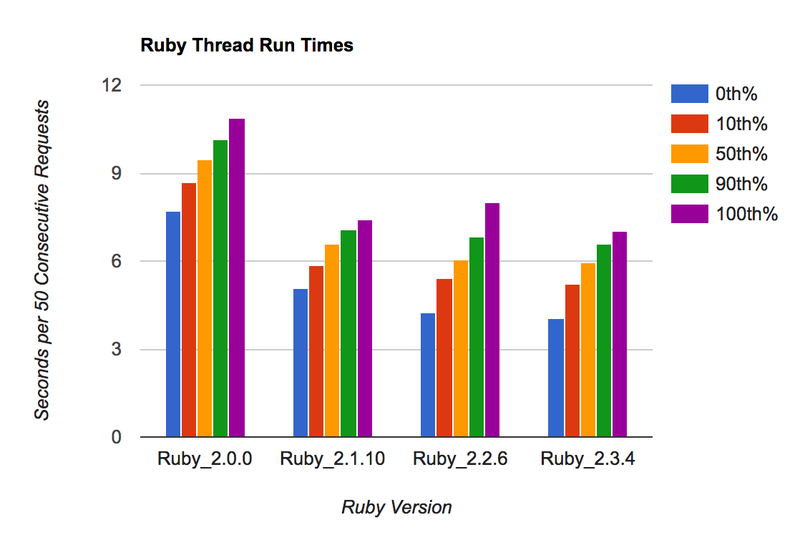 It used ZeroMQ transport and had front ends in Ruby, Go, Scala and C. At peak, it pushed over 50,000 production messages/second. 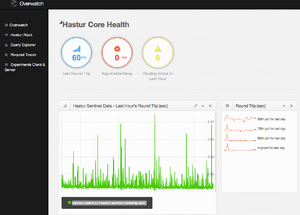 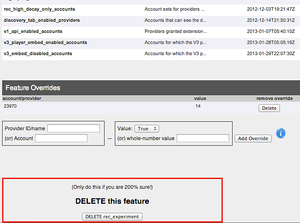 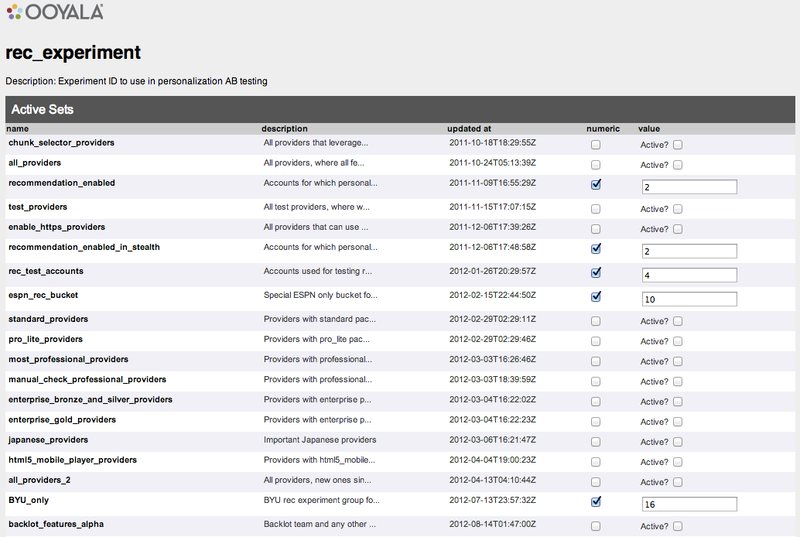 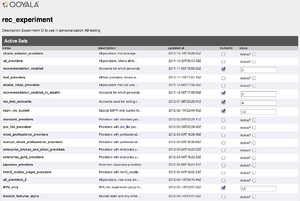 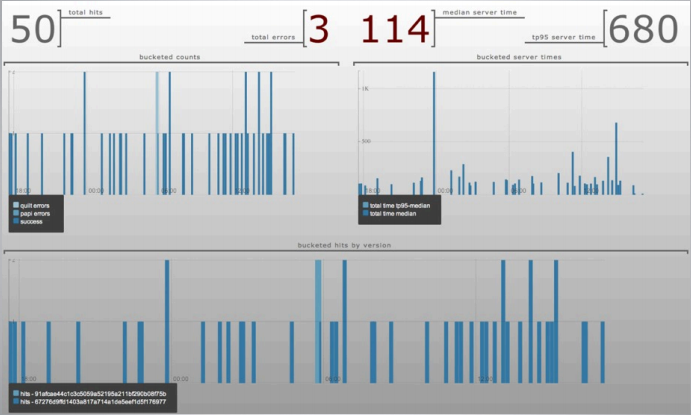 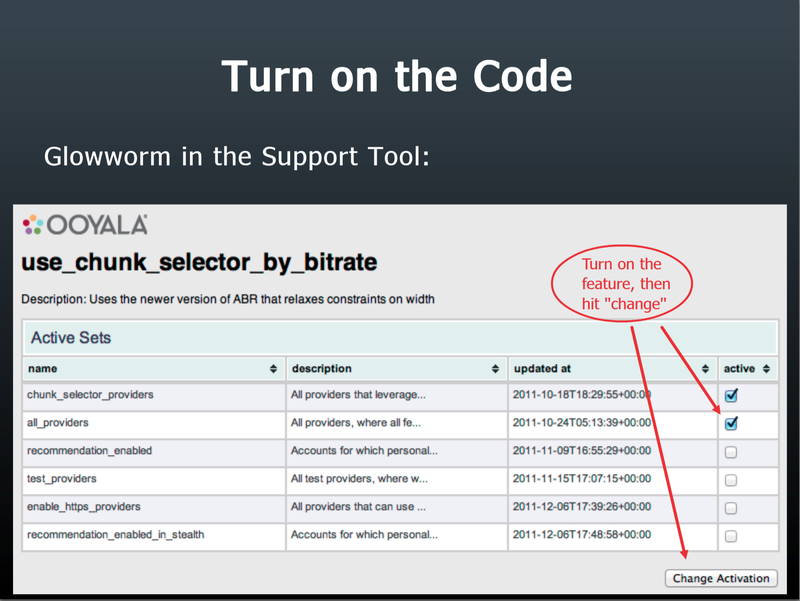 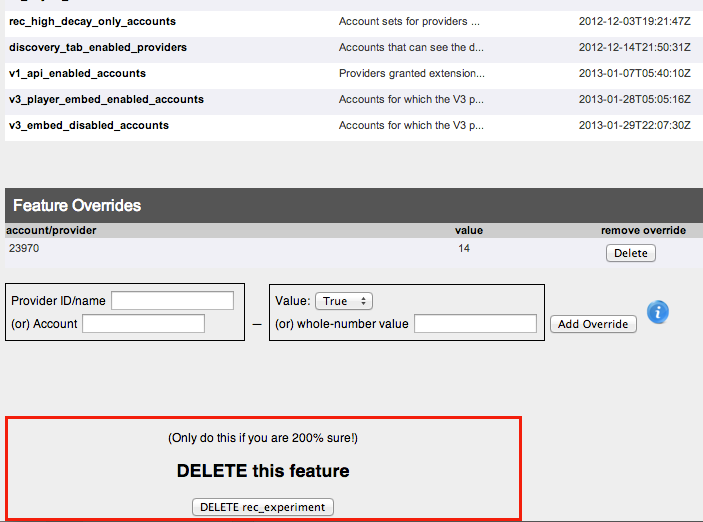 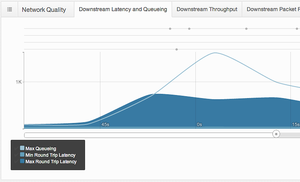 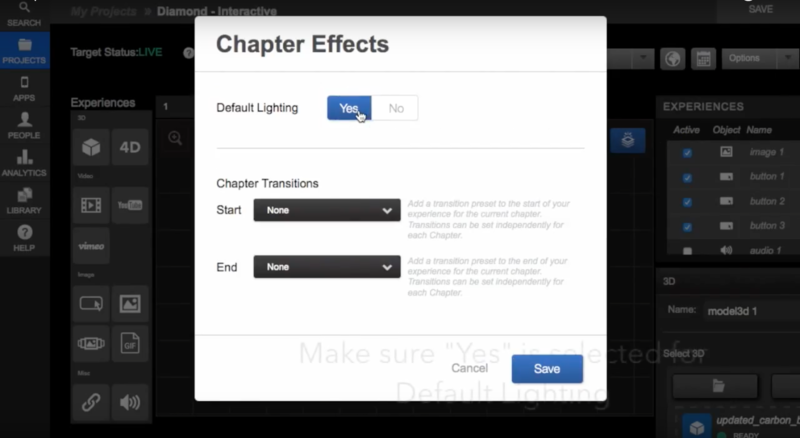 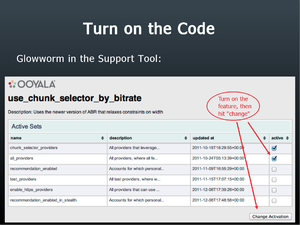 Useful features included high-cardinality retrieval, automatic collection and dashboards. 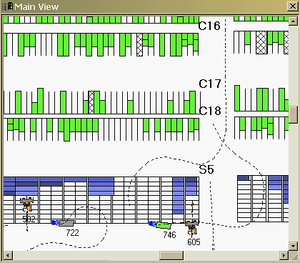 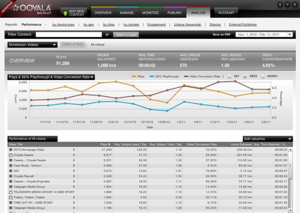 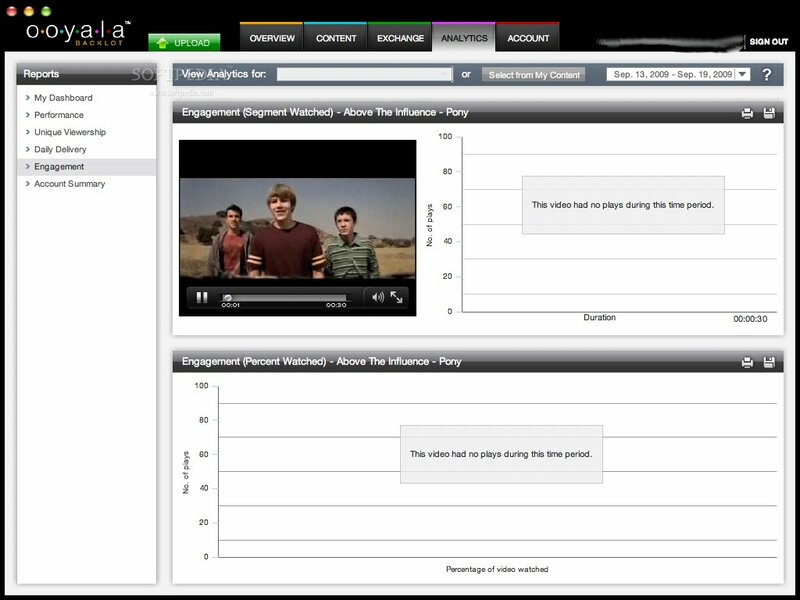 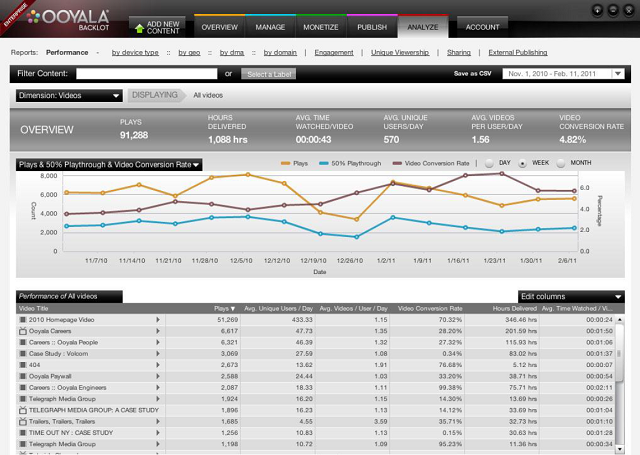 I worked as a senior engineer on analytics for Ooyala's 'Backlot' asset management system. 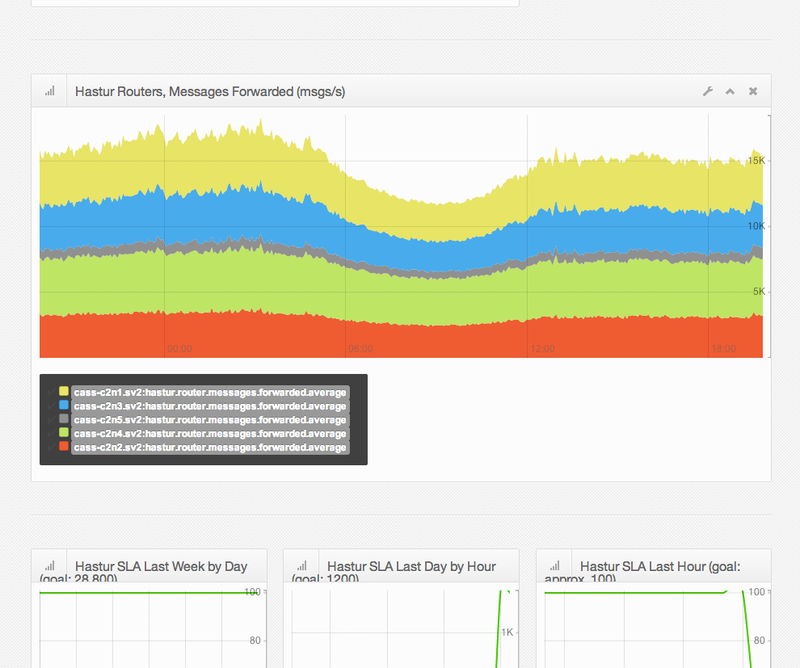 We used Cassandra for storage, metrics/rollups and tagging. 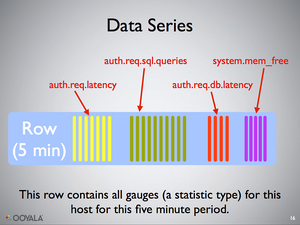 At DAQRI, I established a series of weekly technical talks on relevant topics: distributed systems, reliability, DevOps, Ruby, security. 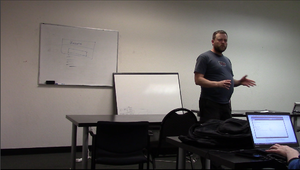 I gave about half the talks, and filmed and edited all of them. 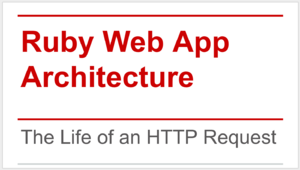 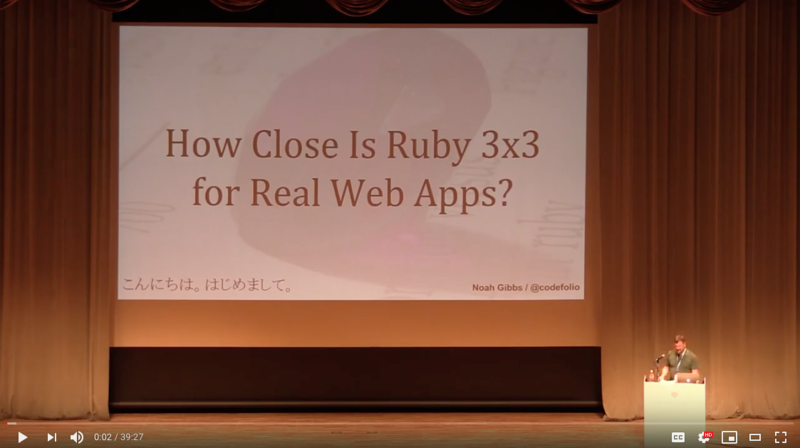 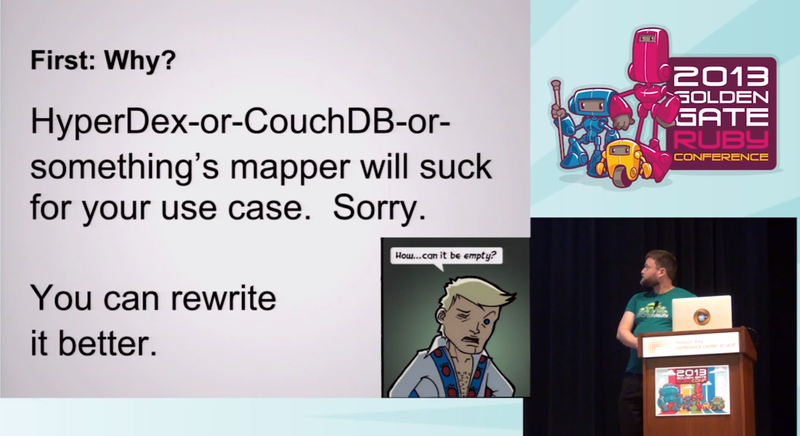 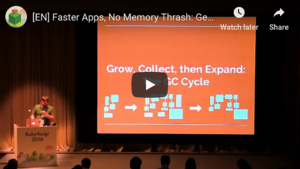 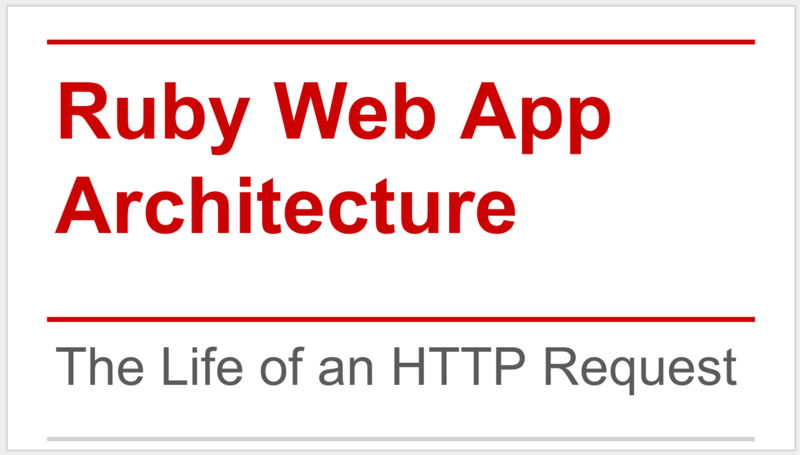 I spoke at the Ruby Remote Conference 2015 on Ruby Web Appliction architecture. 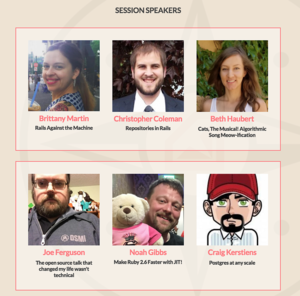 I had the good fortune to be a guest on the Ruby Rogues, a then-extremely-popular Ruby podcast, in March of 2015. 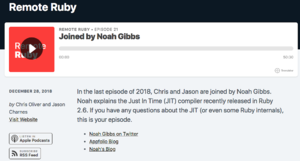 They liked me enough to invite me back for another episode in May of the same year. 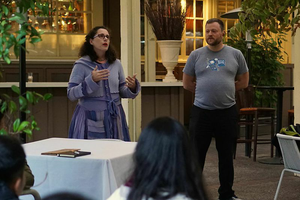 Avdi Grimm asked a few folks about recording a guest episode of RubyTapas, back before that was common. 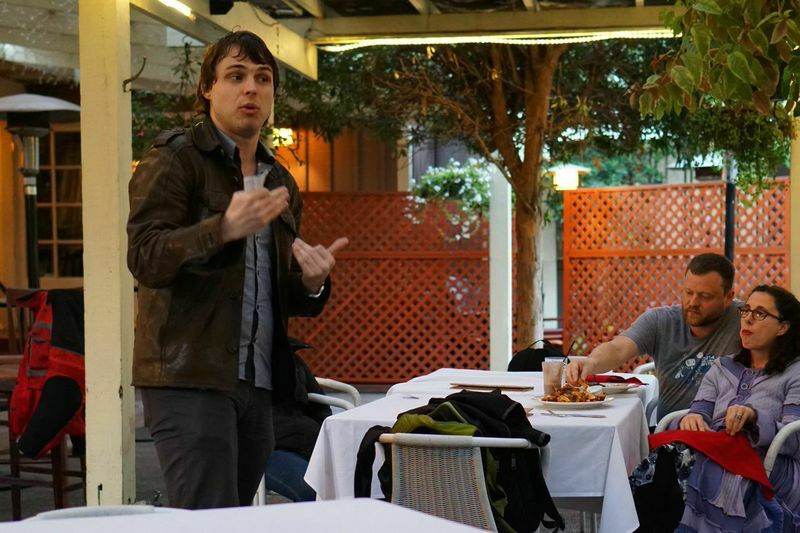 I got to be one of the earliest guest chefs! 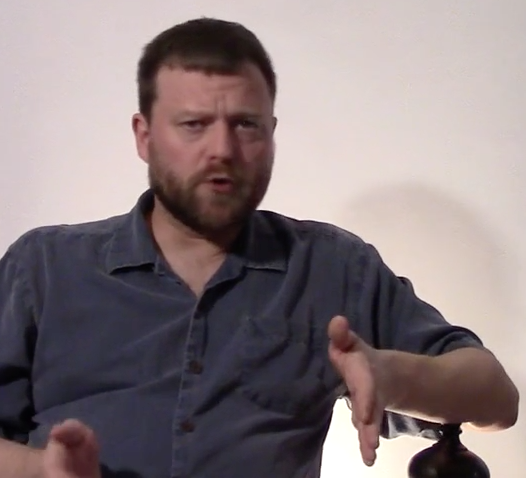 Sorry, this episode is not free, so you'll need to subscribe to see it. GottaBeGood Tour Talk: "Sustainable Ambition"
My wife and I delivered a talk on Sustainable Ambition for Sebastian Marshall's second GiveGetWin tour. 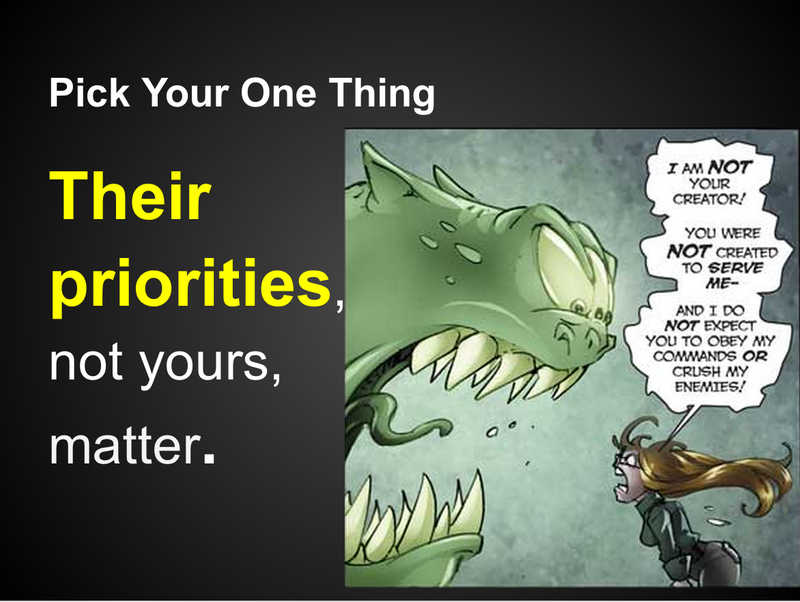 It covered how to succeed in large projects (writing books, running a marathon, homeschooling children) when real life gets in the way. 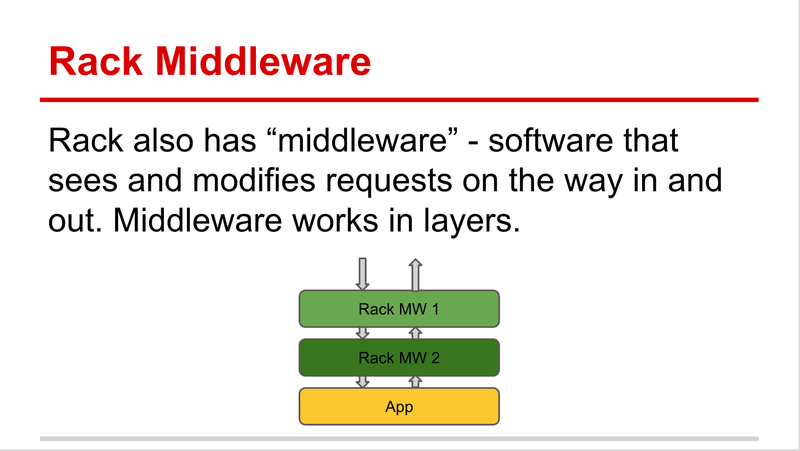 Rack in Every Framework - writing Rack endpoints and middleware, and integrating them in various ways with various frameworks. 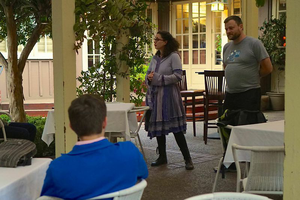 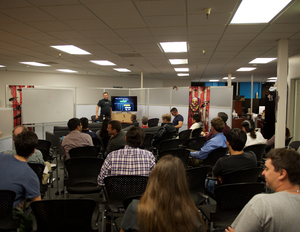 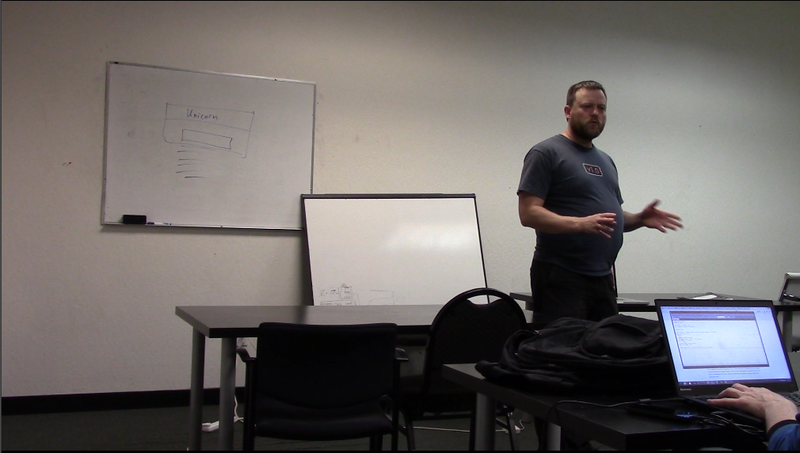 The talk primarily covered our Cassandra schema. 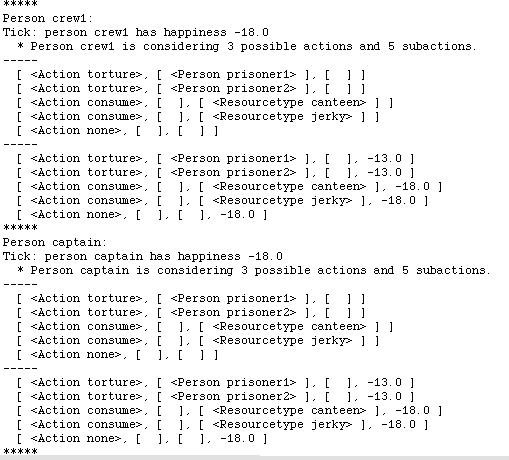 This was before CQL, and some of the architectural decisions are specific to that era of Cassandra. 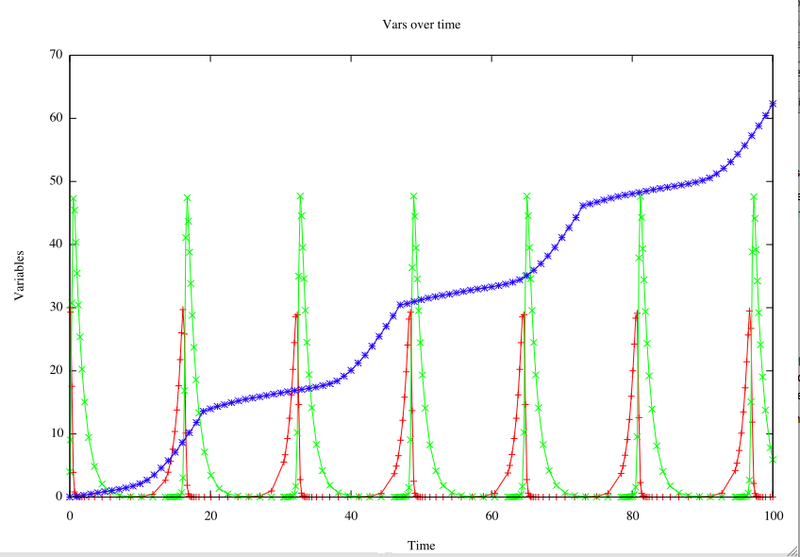 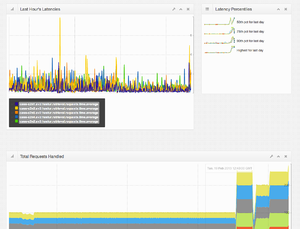 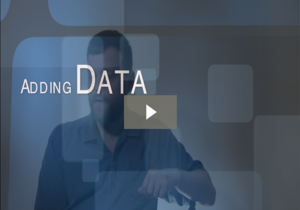 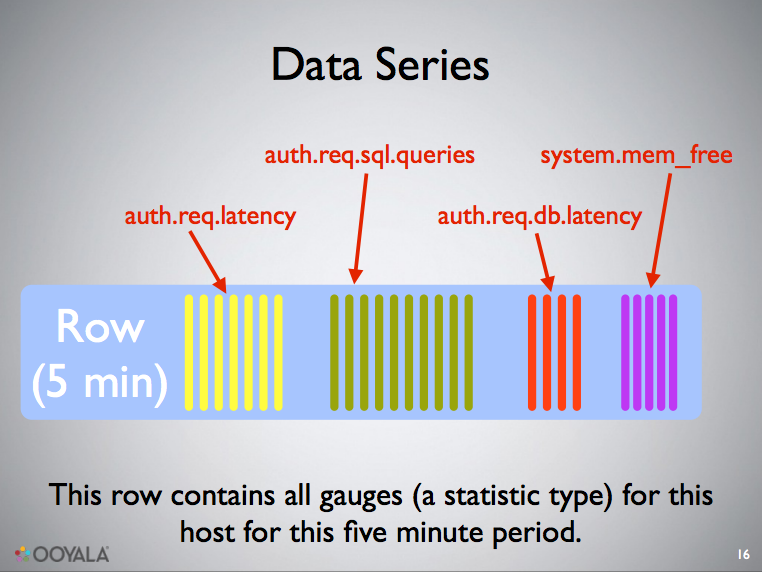 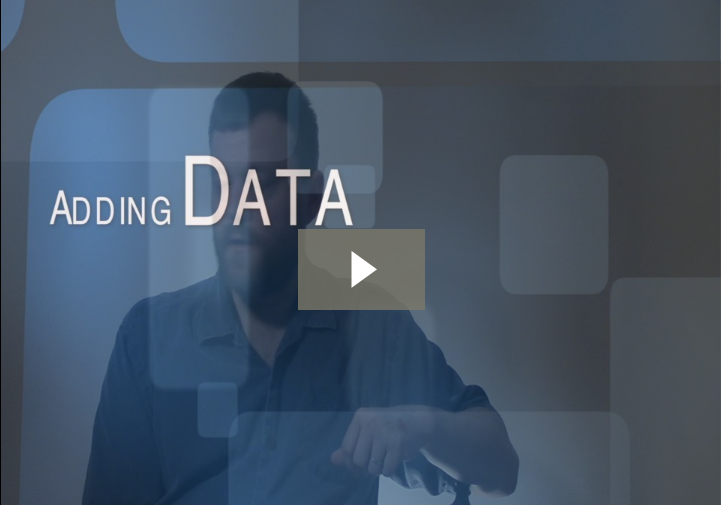 It's a decent example of how to store a complex and highly-indexed time series in Cassandra. 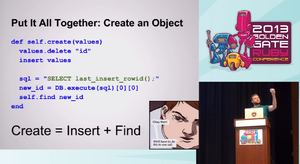 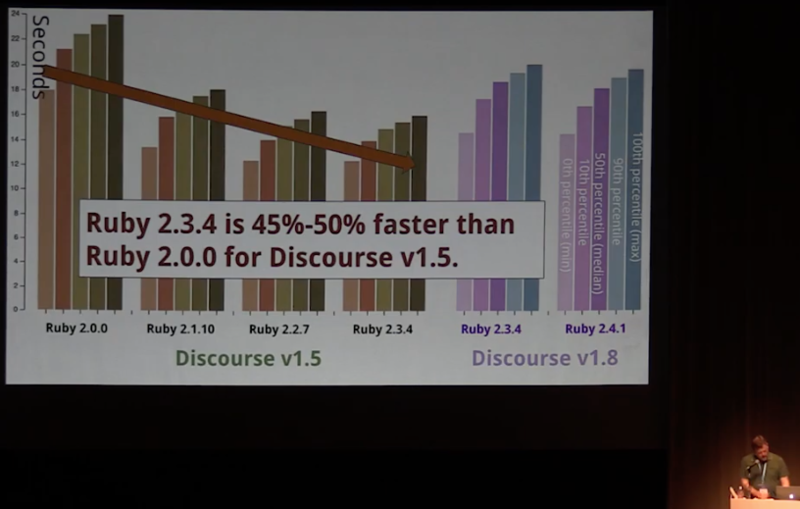 Ruby Big Data Tools at Ooyala, given as a Lightning Talk at GoGaRuCo 2011. 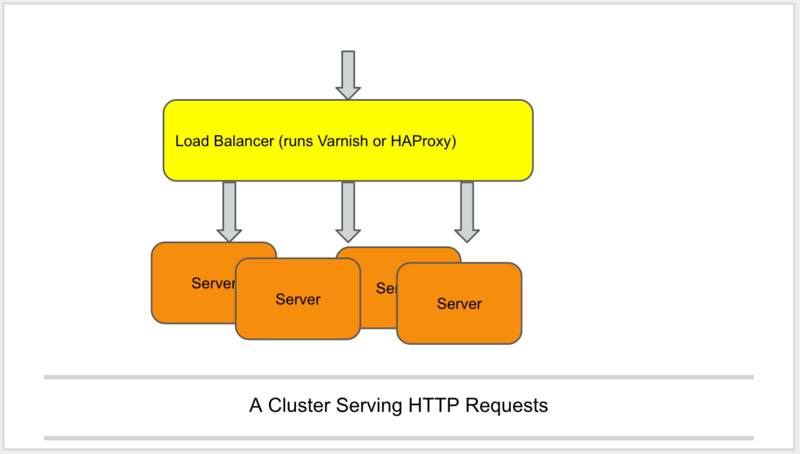 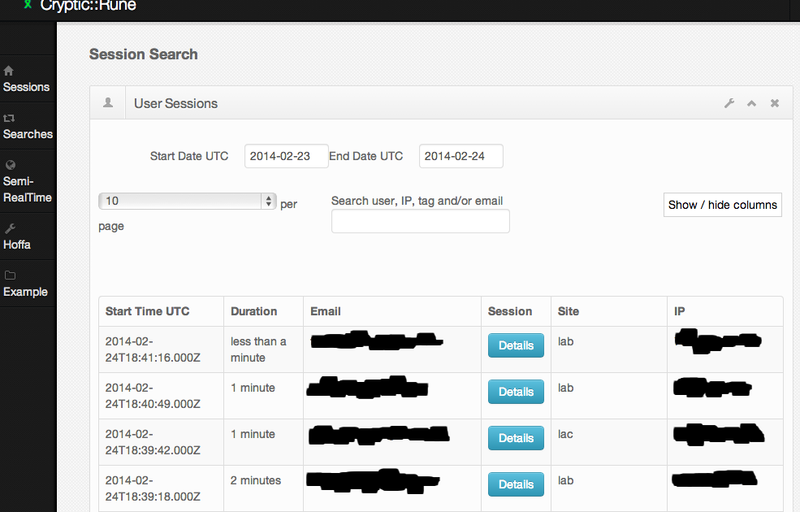 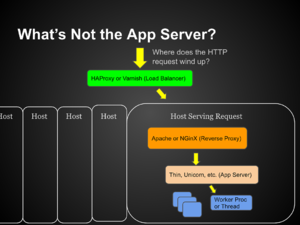 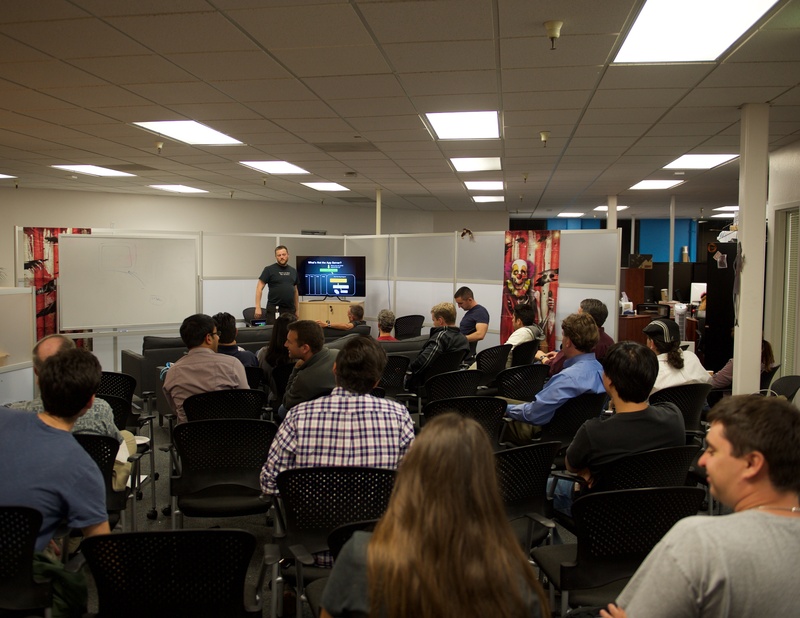 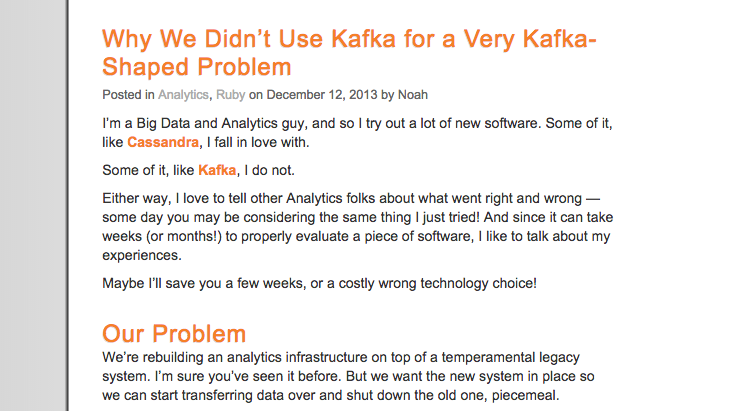 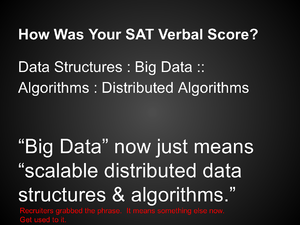 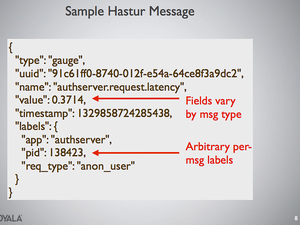 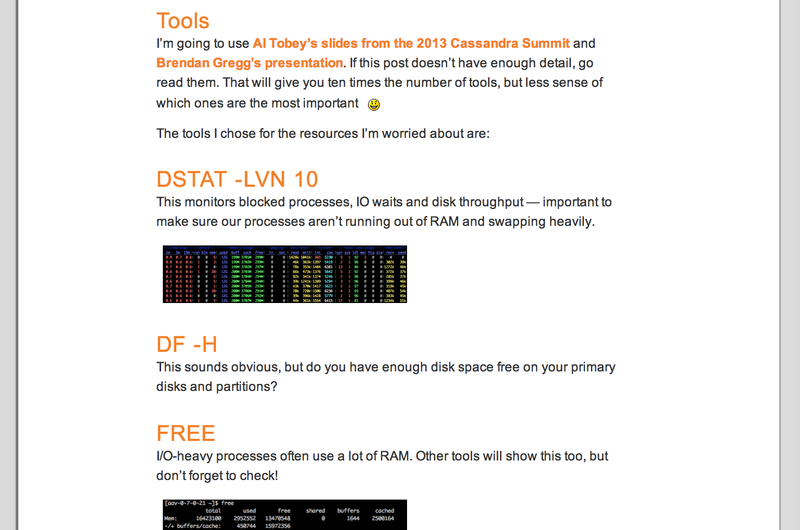 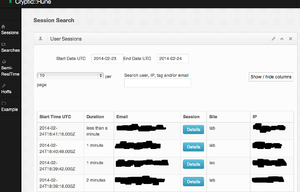 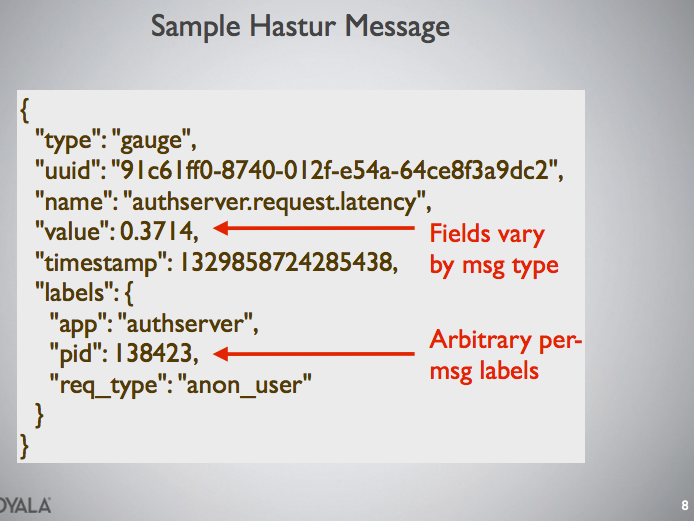 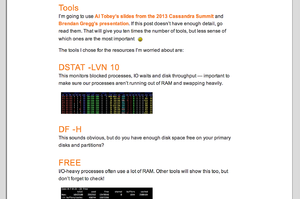 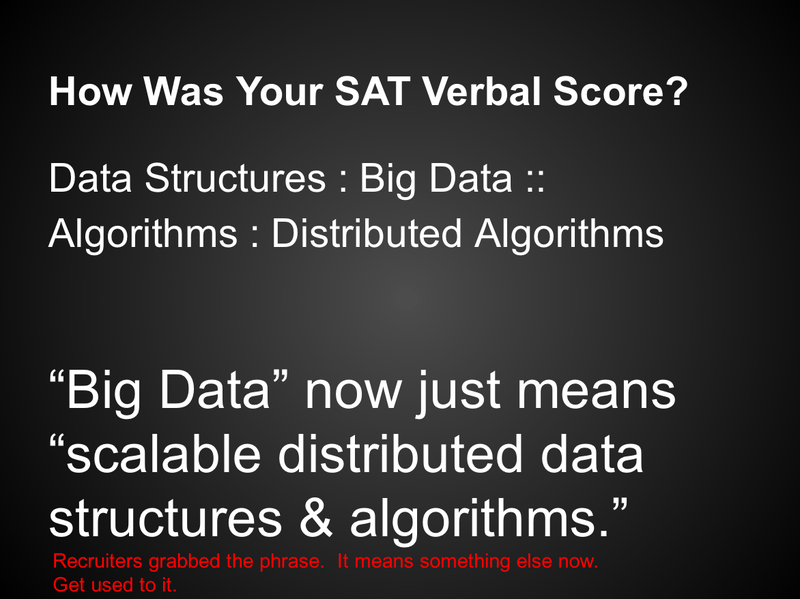 It was a brief rundown of how we used Hadoop, Cassandra and Logstash at the time. 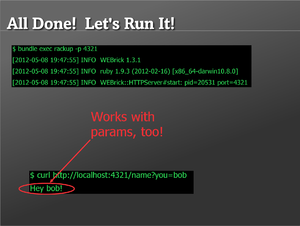 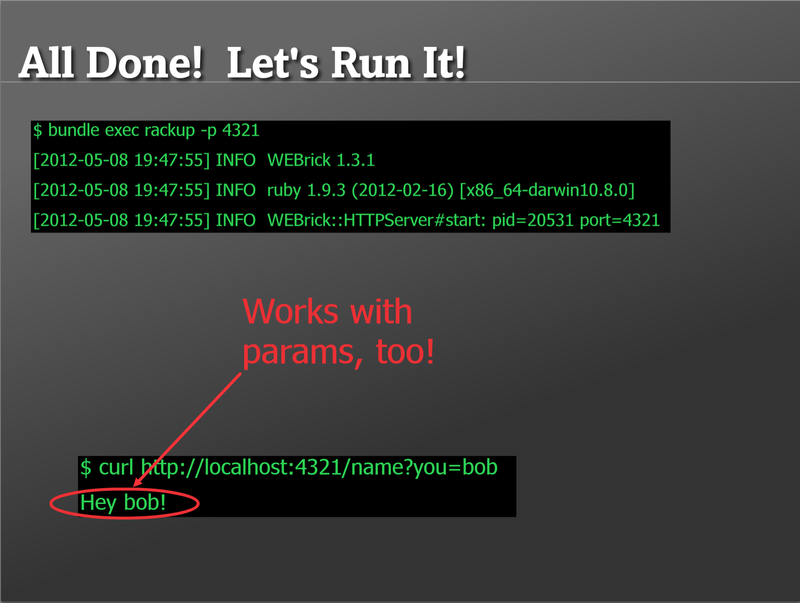 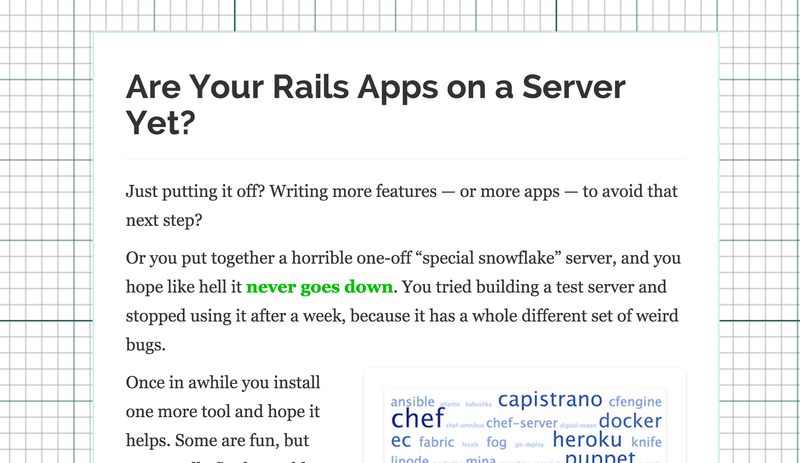 Just Build Your Server on Rack (and the Five-Minute Ruby Framework). 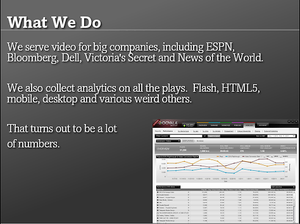 (YouTube video). Given as an informal talk plus questions for The Ruby Hangout. 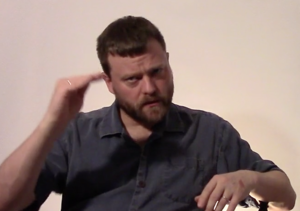 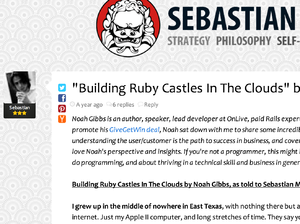 Building Ruby Castles in the Clouds, an interview with Sebastian Marshall (text interview). 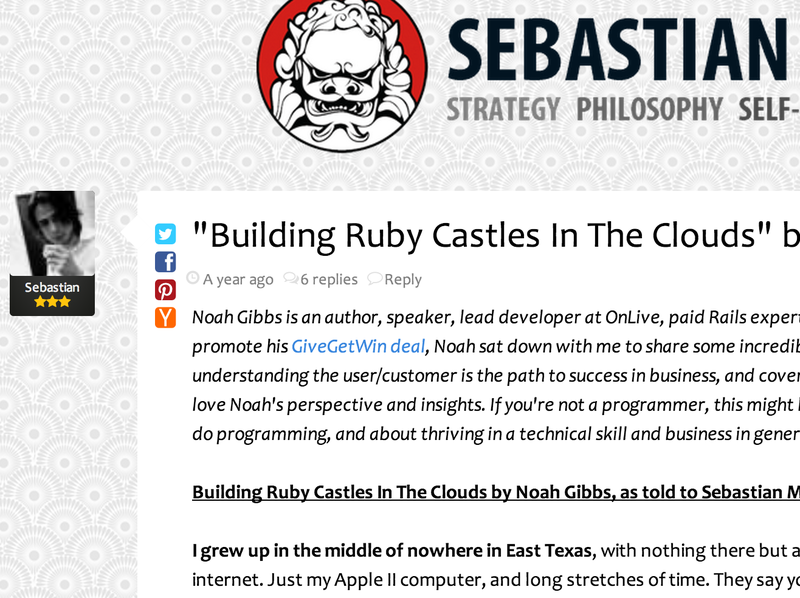 Sebastian runs a popular blog on self-improvement and strategy, and GiveGetWin. 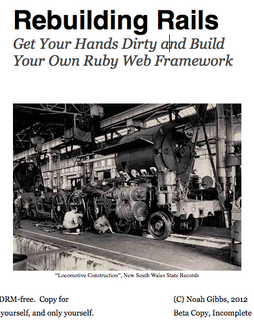 The Five-Minute Ruby Web Framework. 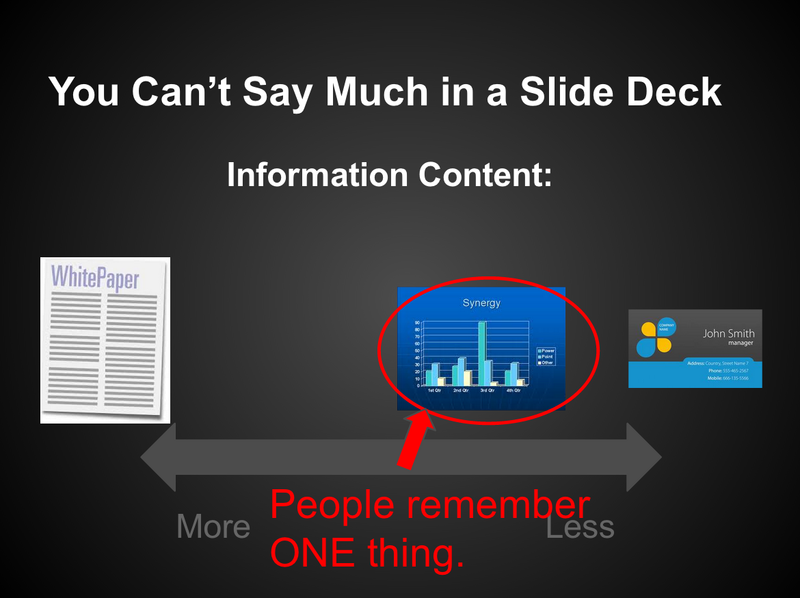 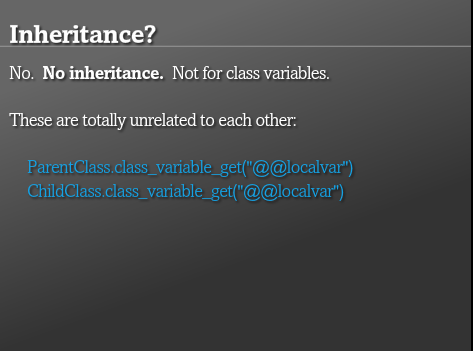 Given as a Hacker Dojo lightning talk with slides. 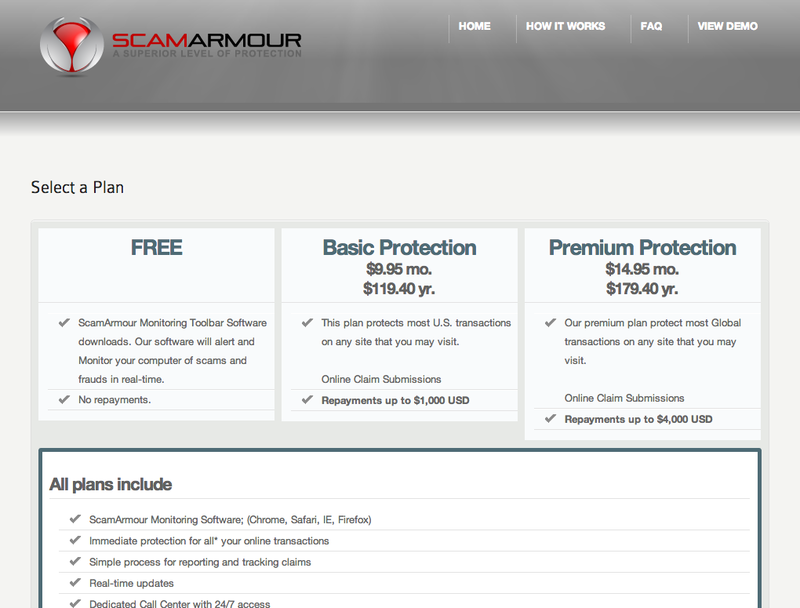 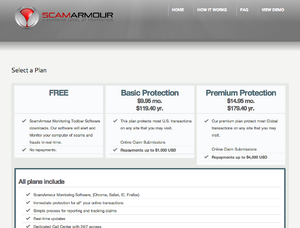 Part-time freelance work on ScamArmour's prototype web site and Mechanize-based scraper. 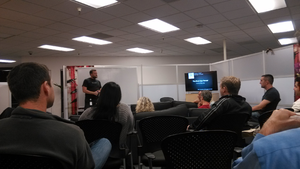 Pre-funding company, rescue job. Office hours and tutoring in Ruby on Rails for masters students in the Master of Software Engineering program at CMU's Silicon Valley campus. 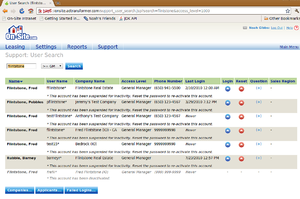 Part-time. 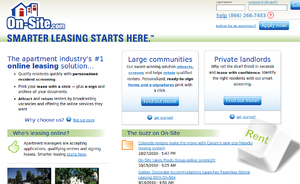 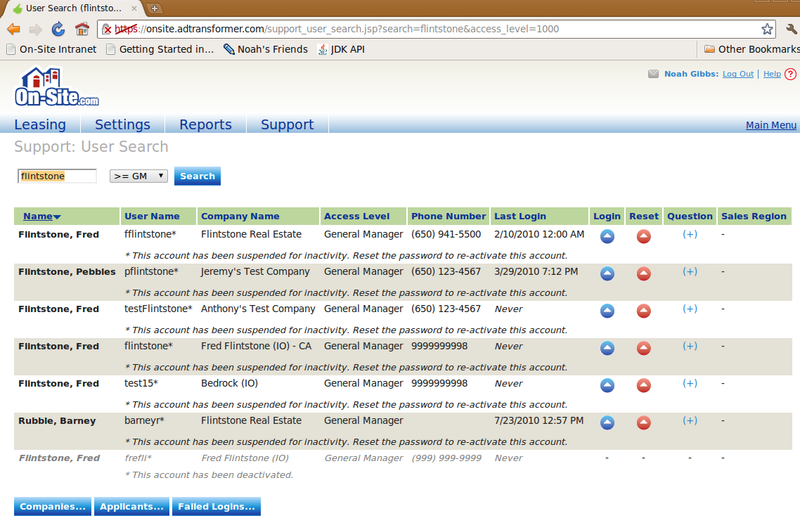 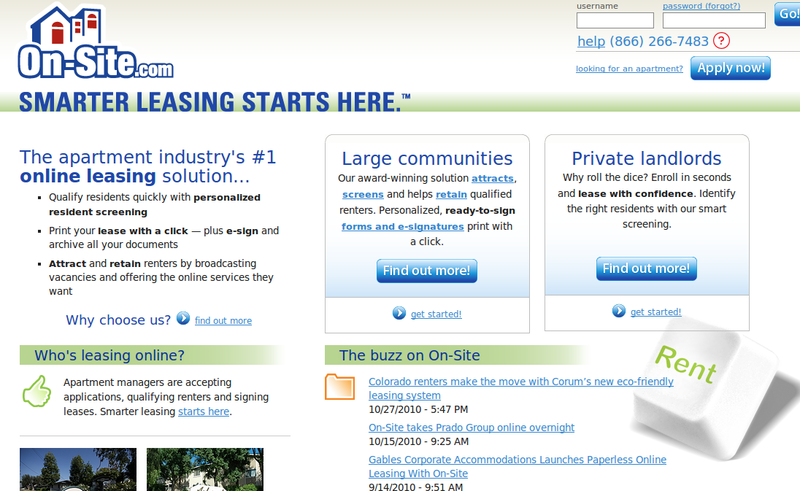 I worked as an engineer at On-Site.com, a SaaS web app for the multifamily unit rental industry. 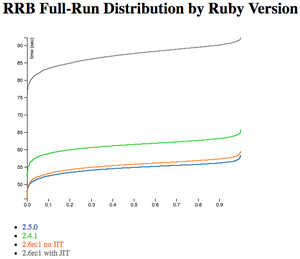 On-Site had a Java app of long standing that we were converting to use JRuby and Ruby on Rails. 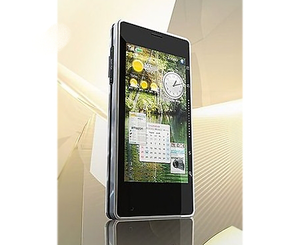 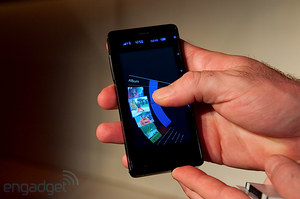 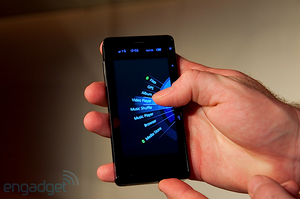 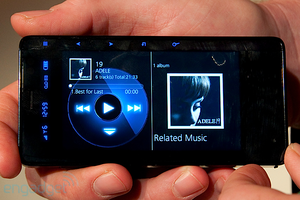 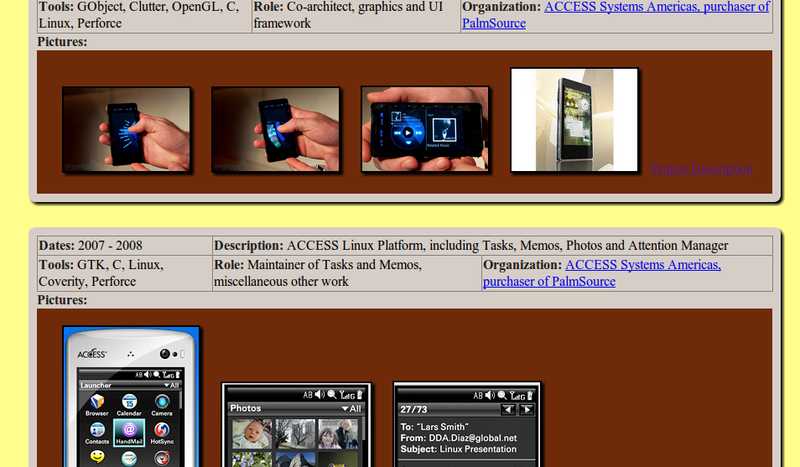 At ACCESS, I co-architected a mobile phone OS/UX project called Emblaze First Else. This was powered by ALP, but involved a complete UI and graphics rewrite. 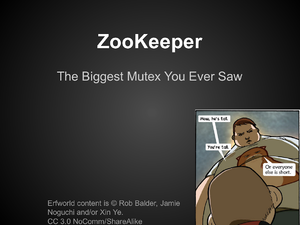 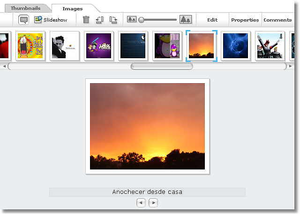 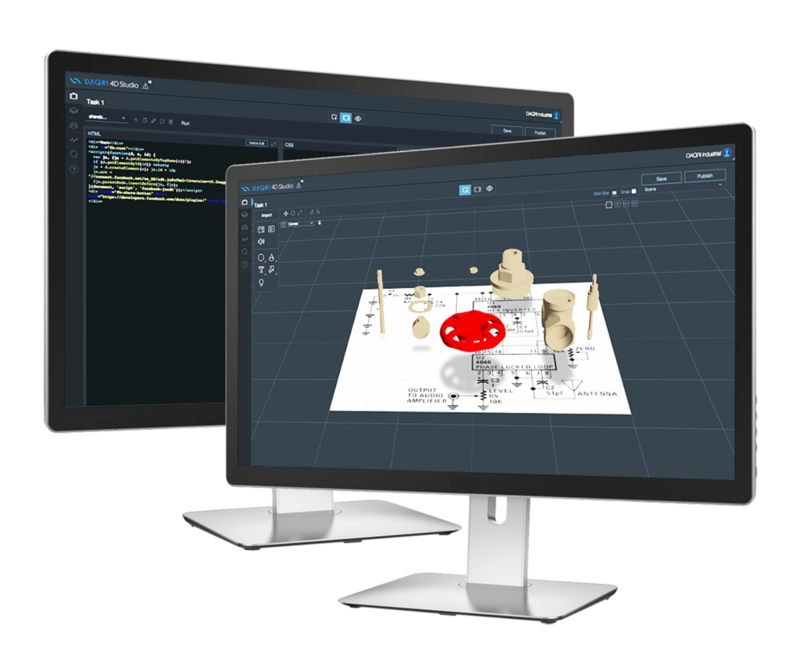 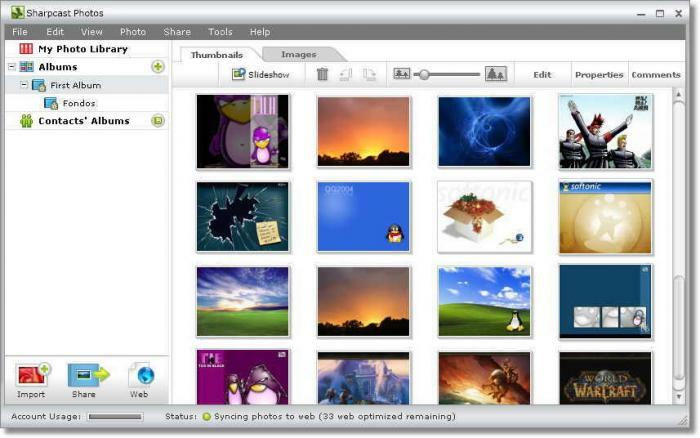 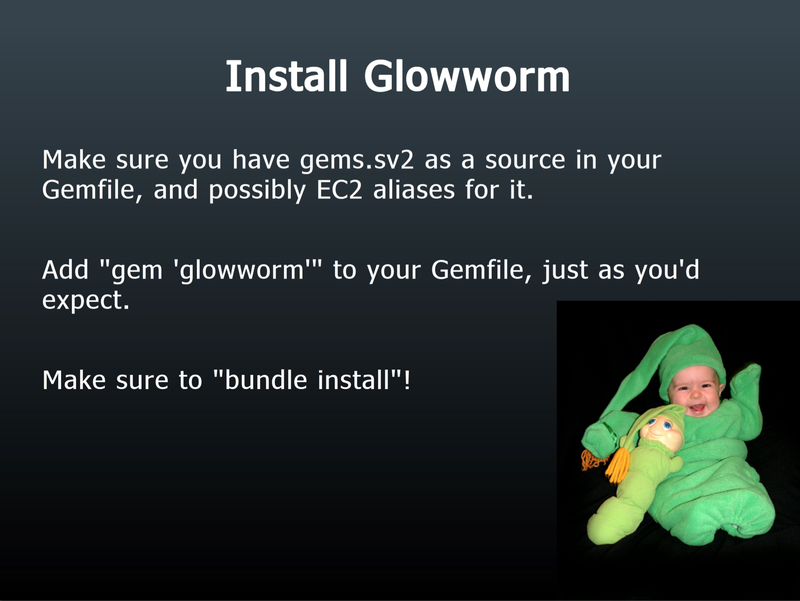 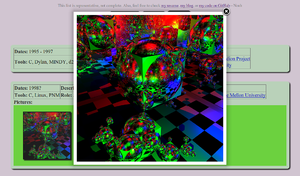 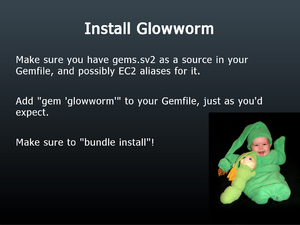 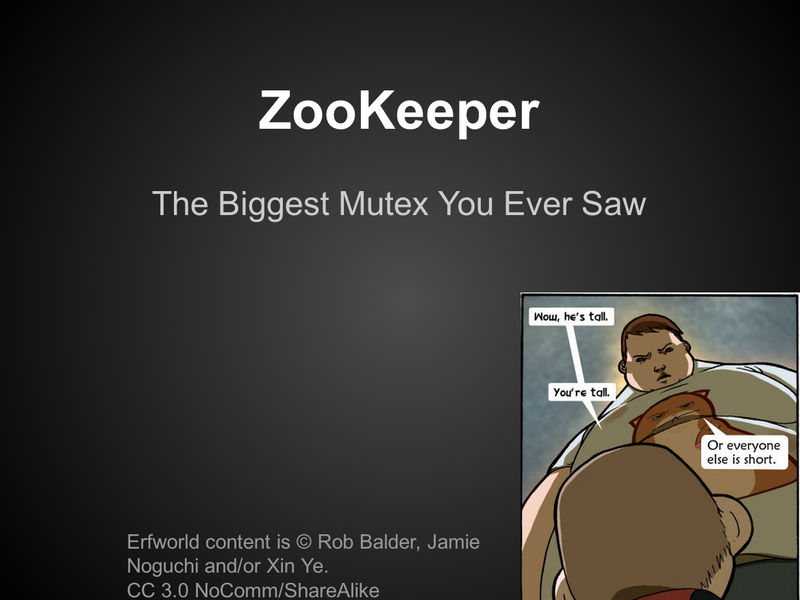 We primarily used GObject (the basis of GTK+), Clutter and OpenGL. 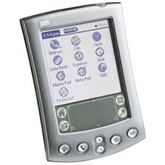 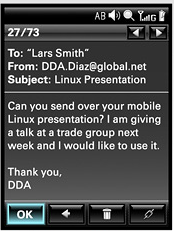 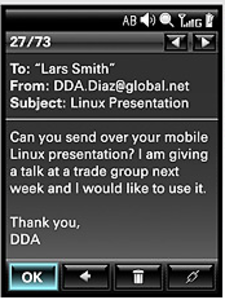 I worked with the former PalmSource/PalmOS team on the ACCESS Linux Platform, including Tasks, Memos, Photos and Attention Manager. 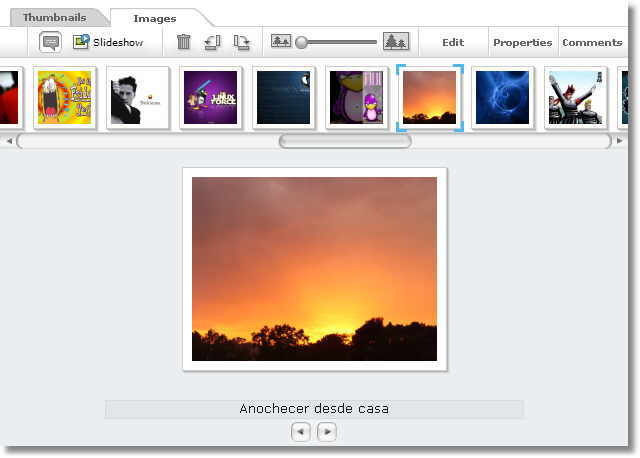 We worked in GTK+ and C on Linux. 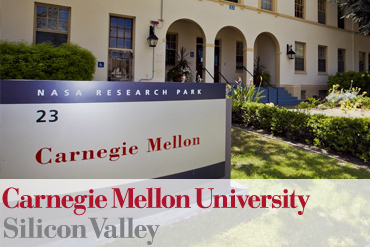 An expanded multinational engineering team was managed from California. 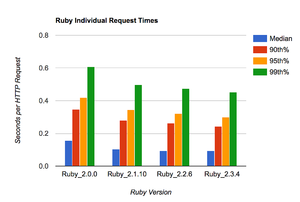 Code quality was kept up using Coverity, which helped immensely. For our Photos product, now called SugarSync, I integrated Kakadu's implementation of JPEG2000 and prototyped the same with LuraTech as well. 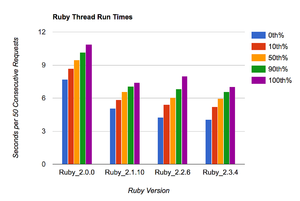 I also handled scaling, zooming and cropping, for which I wrote custom very fast fixed-point image libraries. 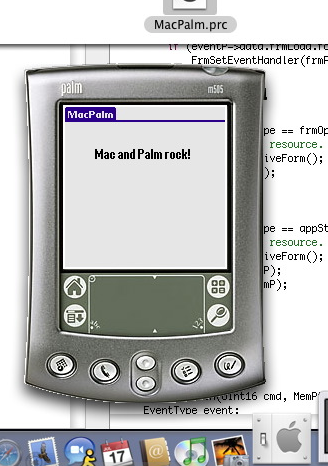 My implementation was shown off within Palm to demonstrate, "hey, these new Windows phones have a lot of horsepower! 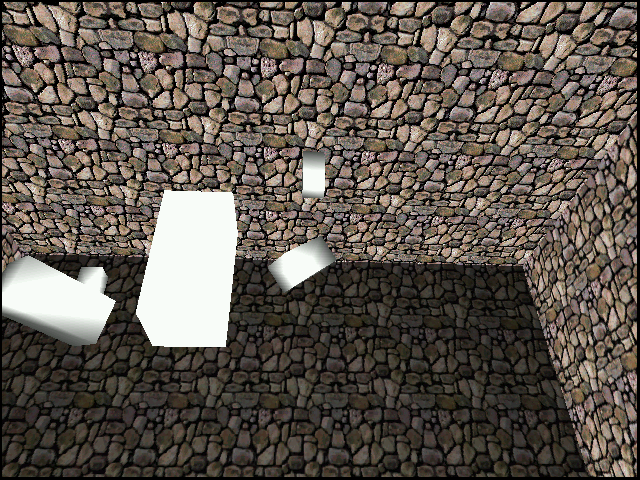 Look how fast the graphics can be!" 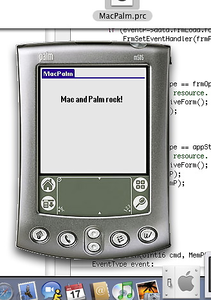 Code ran on WinCE and Windows2000. 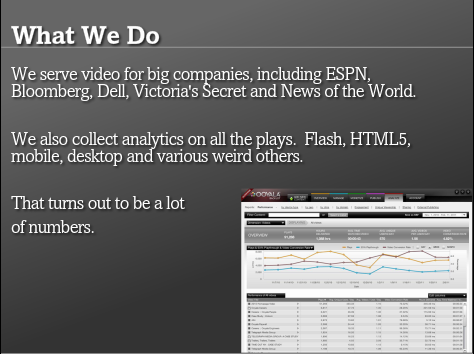 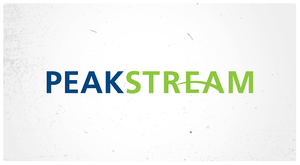 Our client apps team was two people - I focused on graphics and custom image decoding. 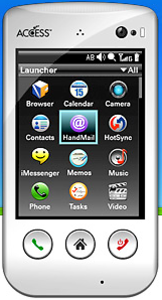 Hardware acceleration support for the TapWave Zodiac, created by TapWave using PalmOS. 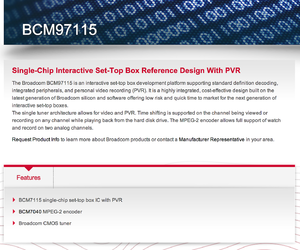 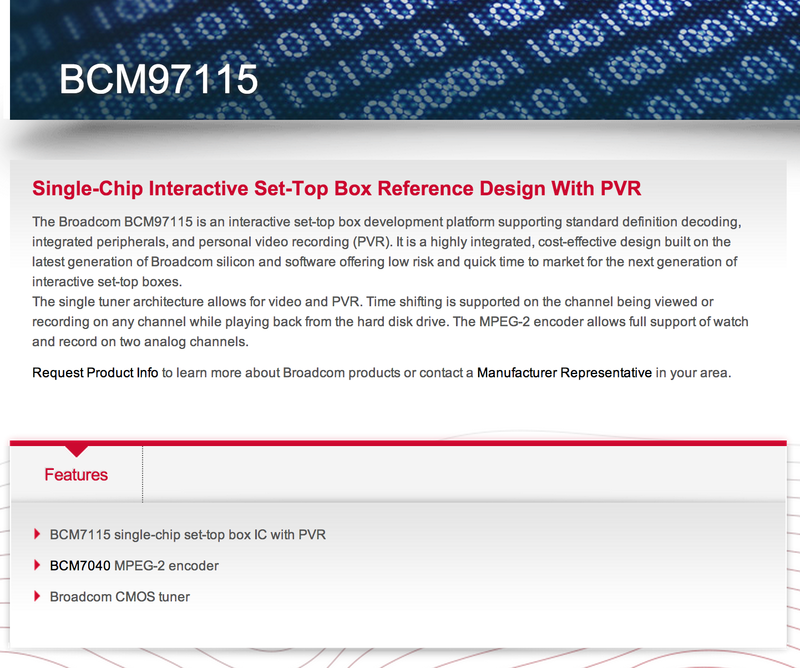 Captioning APIs (CC, CGMS, WSS, TeleText) for various BroadCom cable set-top boxes, including the now long-discontinued 97115 and 7110. 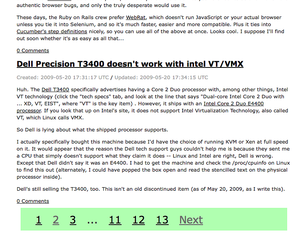 Engineer on Linux NVidia graphics drivers for iTanium and Intel. 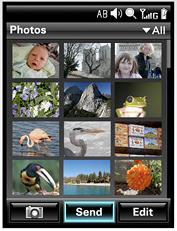 File system and launcher integration of apps on SD cards for PalmOS (launched with m500-series.) I was on the team of 4 engineers building this. RIPC, a system to generate CORBA-like pairs of proxies and stubs. 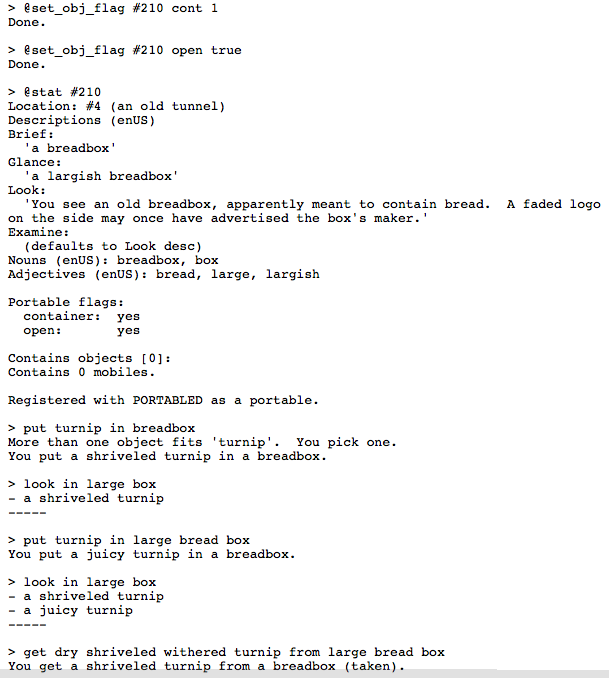 It used a Perl script to generate the code from C++ headers, including inheritance information and additional keywords for timing and data handling. 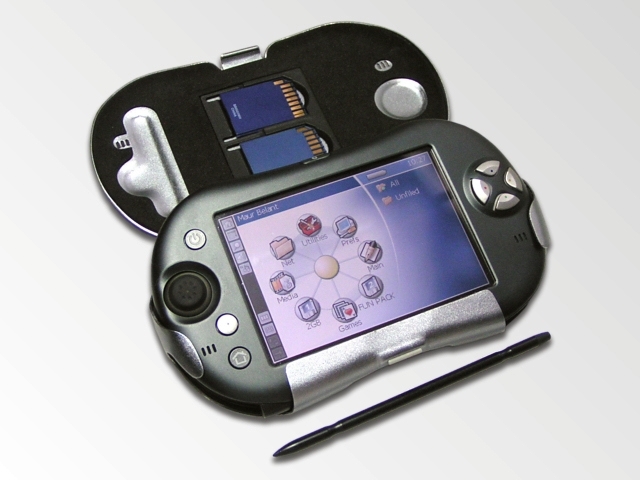 This was used by NOW Solutions for embedded WinCE in-vehicle tracking. 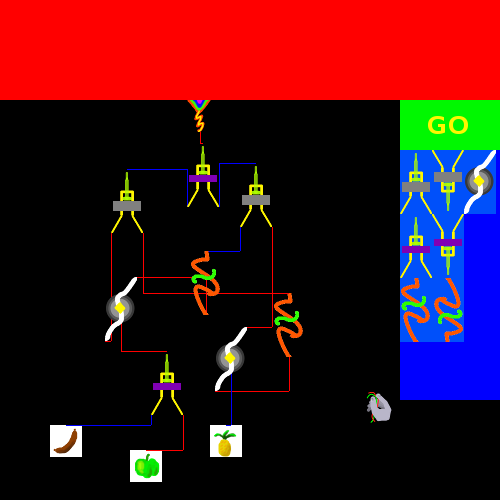 A simple implementation of an Entwined-like choice-based game engine, intending to put other simple games into it as well. 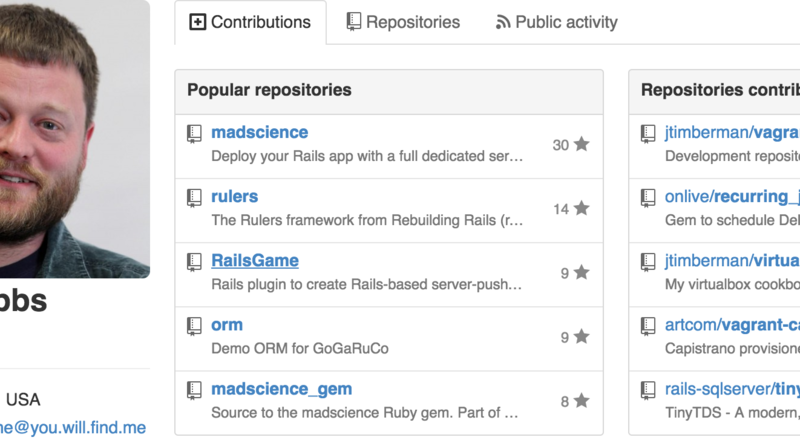 Open-source, like nearly all my hobby projects. 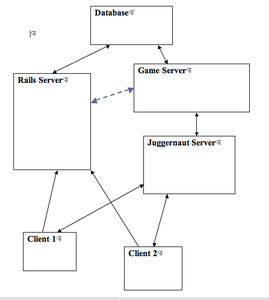 Shards was partly an attempt to use Rails and ActionCable to see how they held up for web game programming. 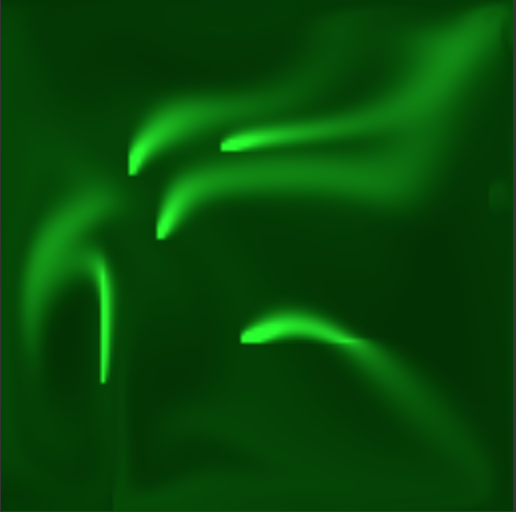 Trackless Sea, a PIXI.JS display server for TMX terrain files and graphics from the Liberated Pixel Cup. 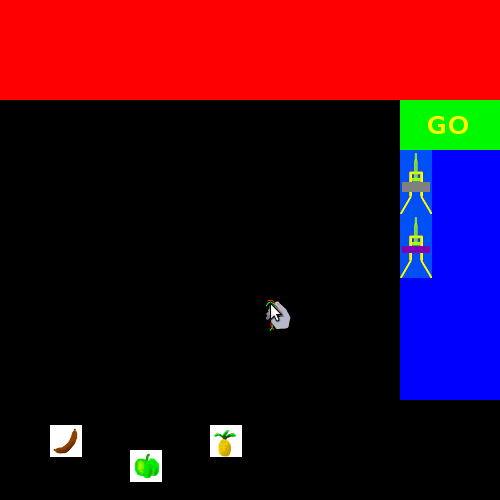 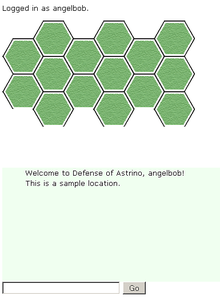 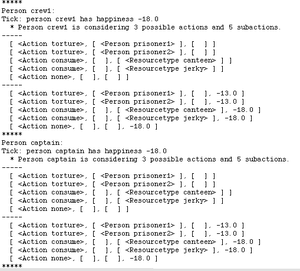 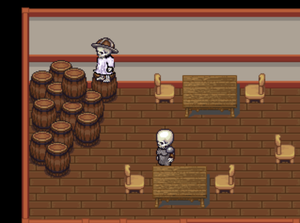 This was based on Surveyor, with a new game engine under the hood and a new display library partially completed. The server engine was built on EventMachine, an evented Ruby library. 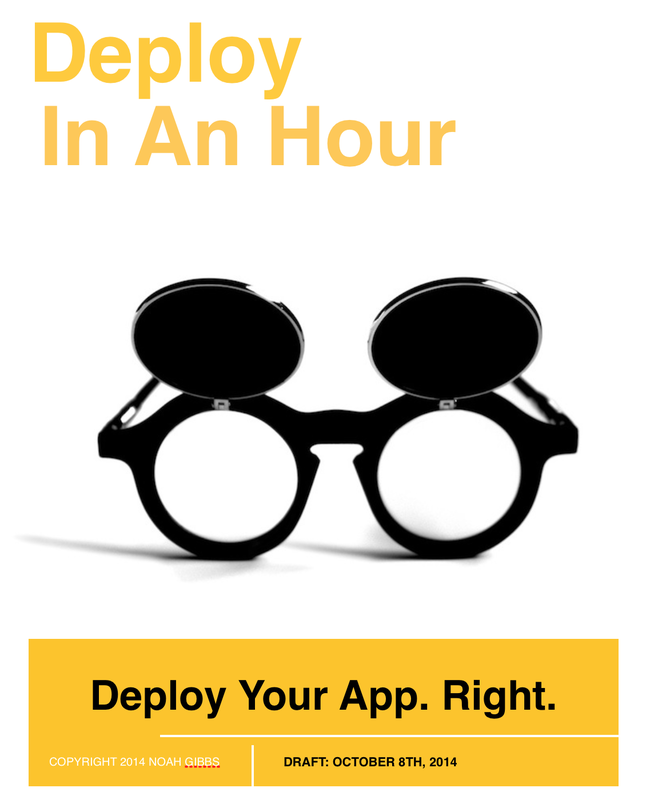 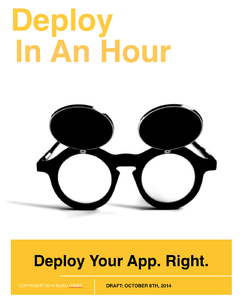 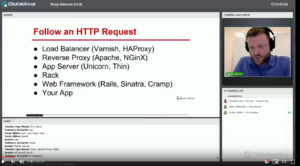 Rails Deploy in an Hour is a no-longer-for-sale text-and-video technical class on deploying Rails apps quickly and easily on highly-scalable open-source tools. 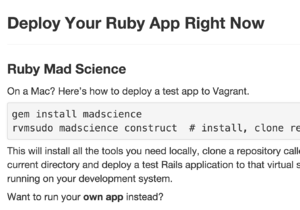 Normally the integration of these tools can take days or weeks to set up — the class software allows this in well under an hour using the open-source Ruby Mad Science software, also by me. 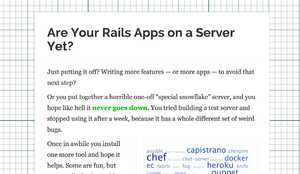 Primary tools included Rails, Chef, Capistrano and Vagrant. 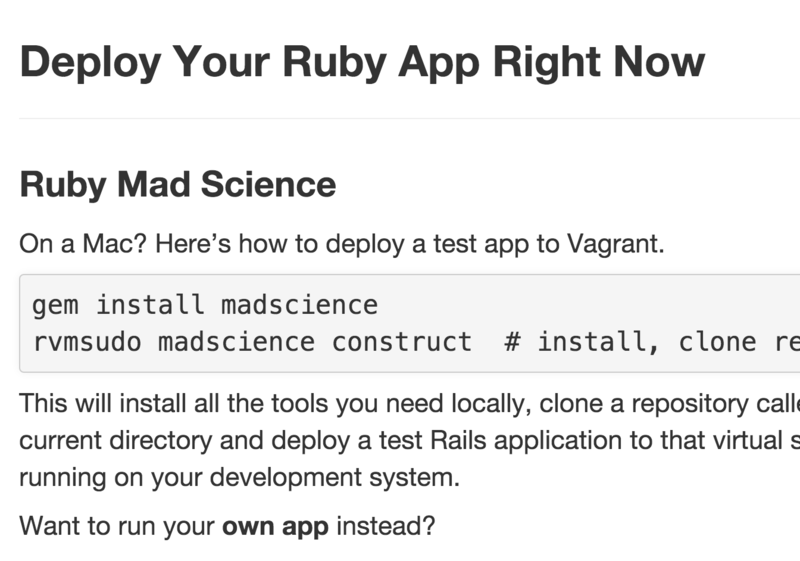 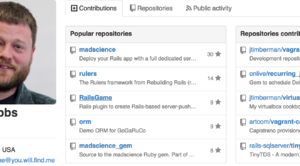 Ruby Mad Science is MIT-licensed software to deploy a custom server for your Rails apps, quickly, using Chef, Capistrano, Vagrant and other tools. 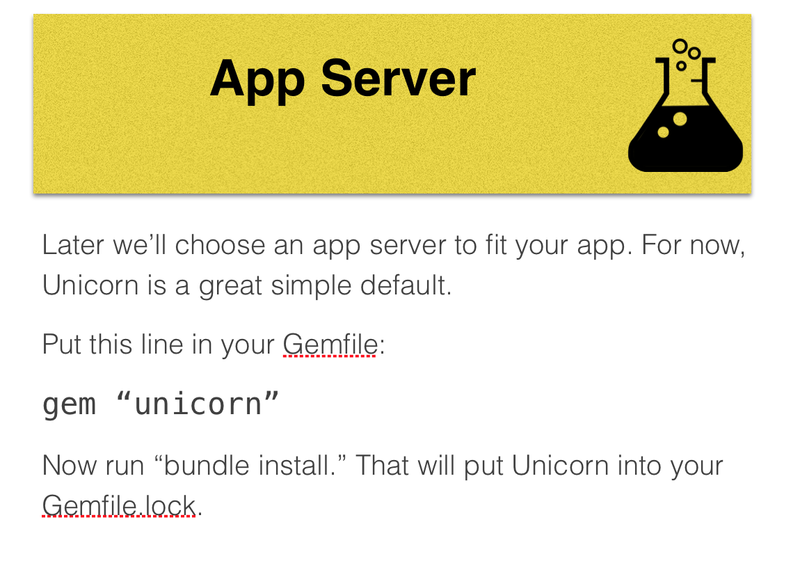 The setup takes under an hour for most apps, but uses standard best-in-class open-source tools so you can scale out later. 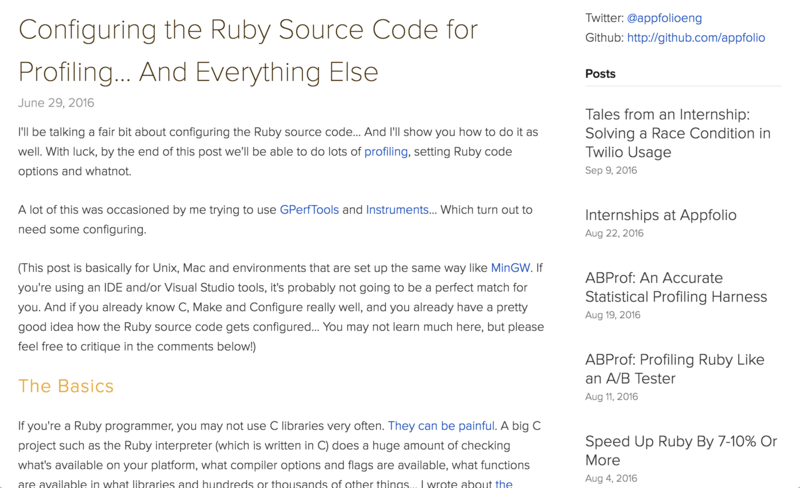 I redesigned Codefol.io and several product sites to use Octopress, and wrote several large batch jobs to reprocess Disqus comments properly for Codefol.io. 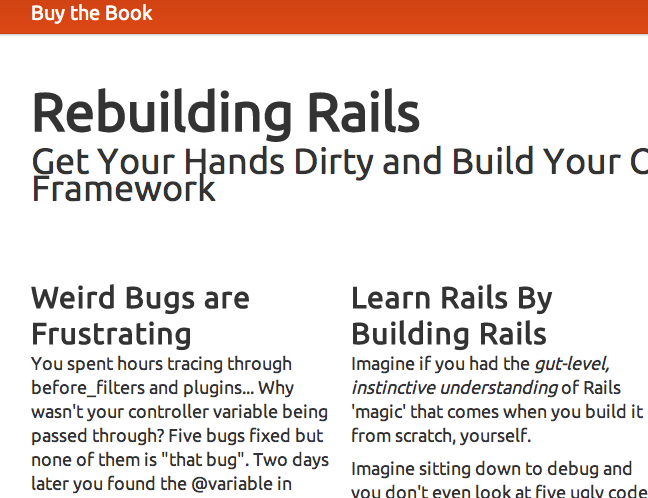 Rebuilding Rails, an ebook on building your new Rails-like framework from scratch — "Understand Rails by building Rails." 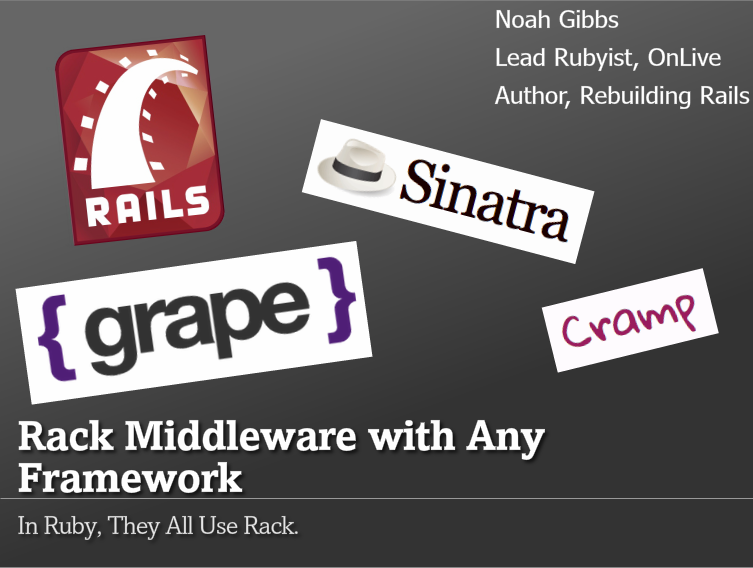 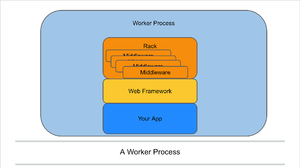 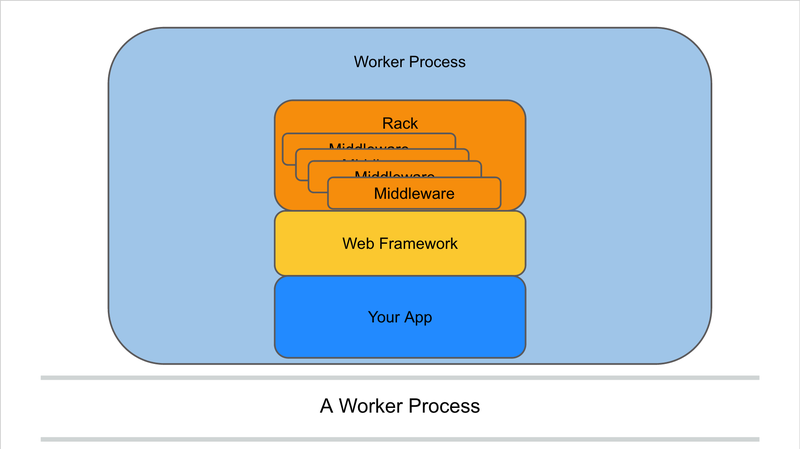 It's also one of the best sources of documentation on the Rack framework, which can be difficult to approach. 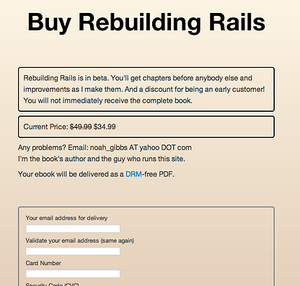 In addition to the book, I wrote the sales site and initial Stripe payment integration, plus marketing materials like email. 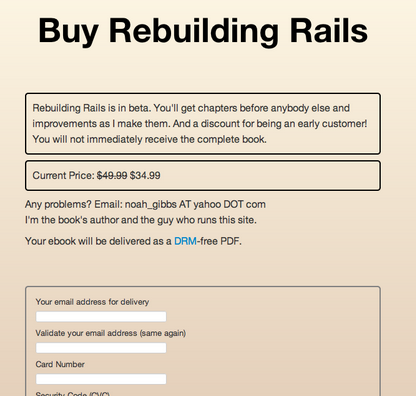 Rebuilding Rails has sold a few thousand copies and is one of the few books to help intermediate Rubyists become advanced Rubyists. 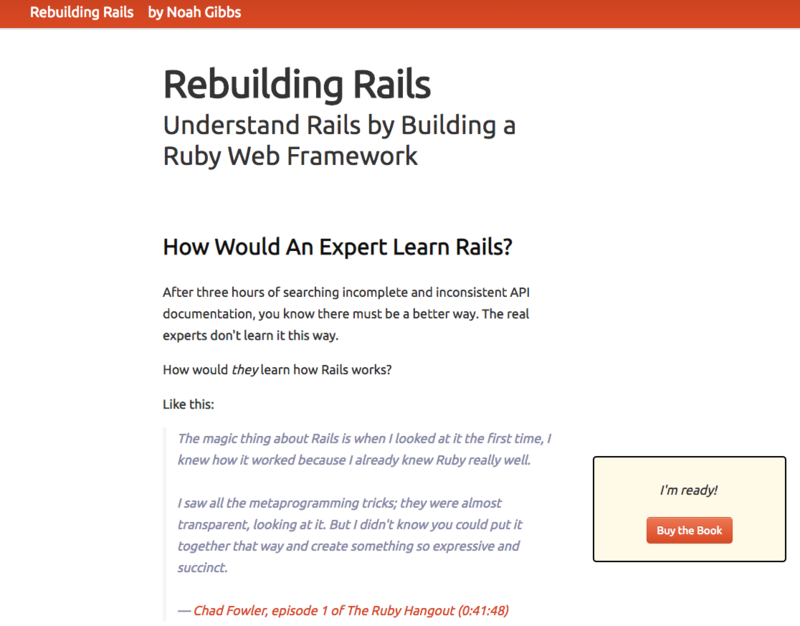 Rebuilding Rails was also taught as an in-person class at OnLive and AppFolio. 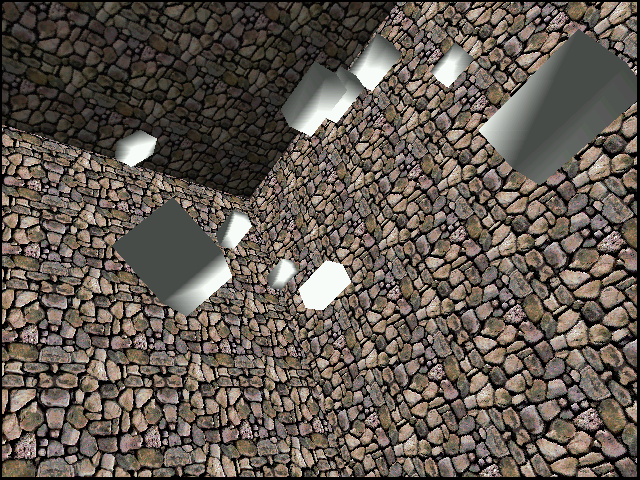 Surveyor, a CreateJS display server for TMX terrain files and graphics from the Liberated Pixel Cup. Graphics via Source of Tales. 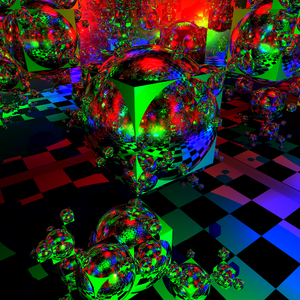 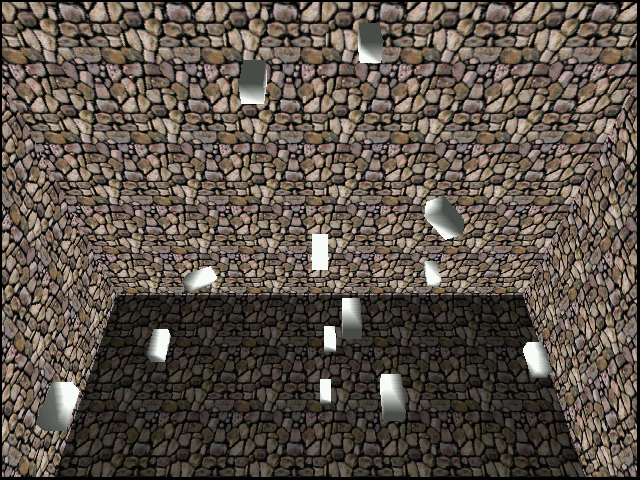 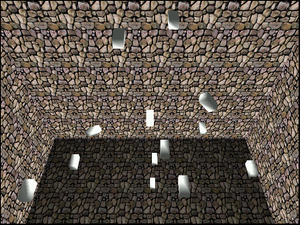 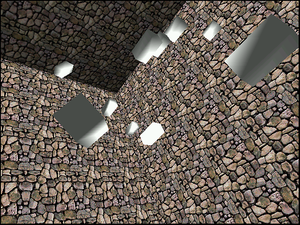 Parallel raytracer for a CMU computer graphics class. 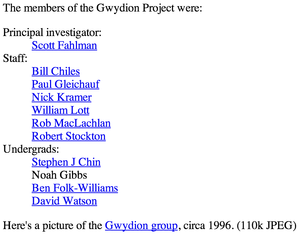 Group project. 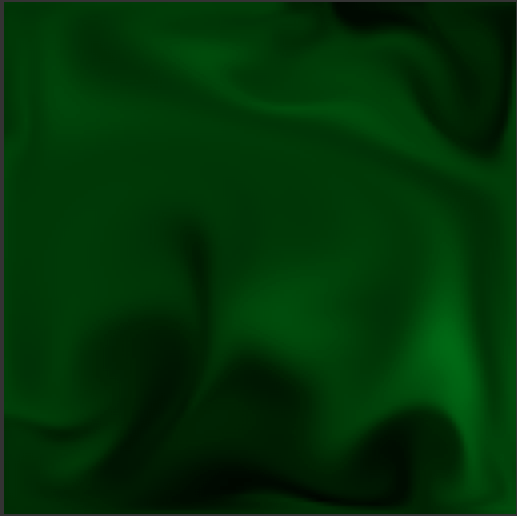 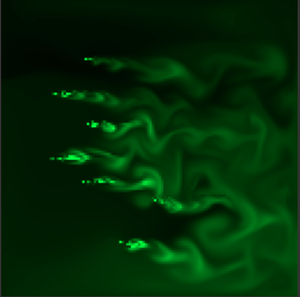 I wrote the distribution server and some of the renderer. 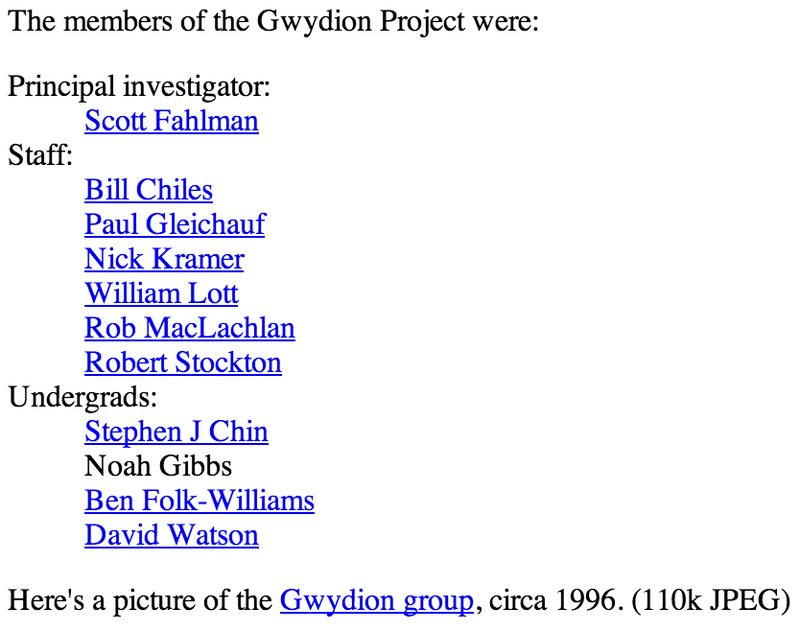 This portfolio. 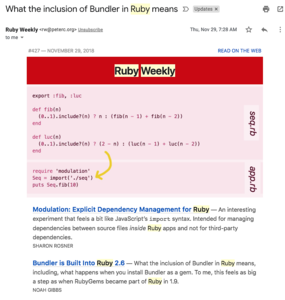 Initially this was an exercise in frontend development like hashchange, jQuery and templating rather than the server-side dynamic sites I was used to. 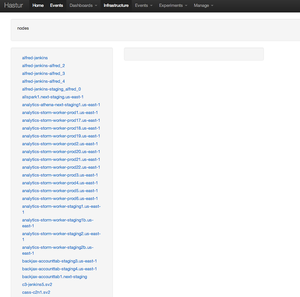 It has slowly changed into an appreciation of how much easier modern Bootstrap is than old Bootstrap, and how much I can improve my visual presentation skills by just writing less. 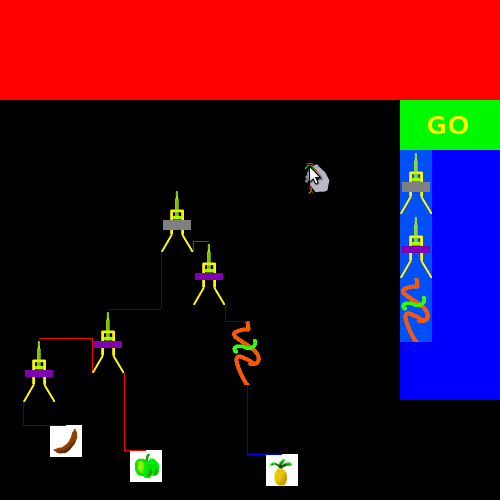 I wrote Shanna's Pizza, a simple game to teach young children to use logic gates for simple programming. 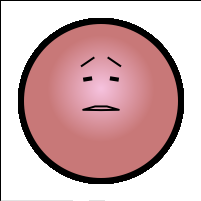 Minimal text, for ease of use by pre-readers. 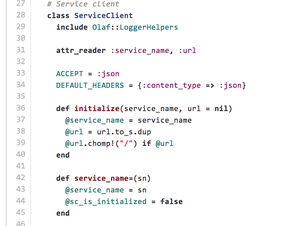 Written in C with SDL. 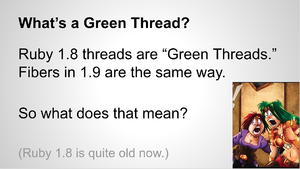 Linux and Windows. 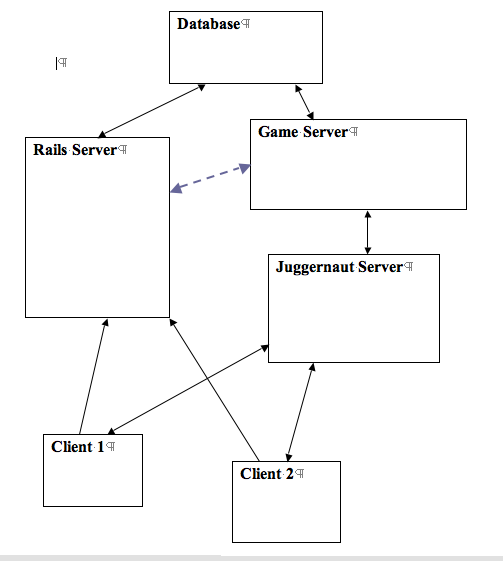 RailsGame (implementation, example), a Juggernaut-based approach to merging a persistent game server with a dynamic web site, sharing content and permitting use of a web client without constant AJAX polling. 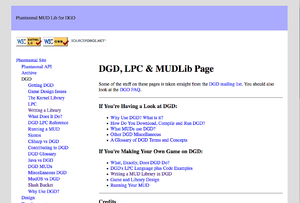 A dynamic, persistent browsergame engine. 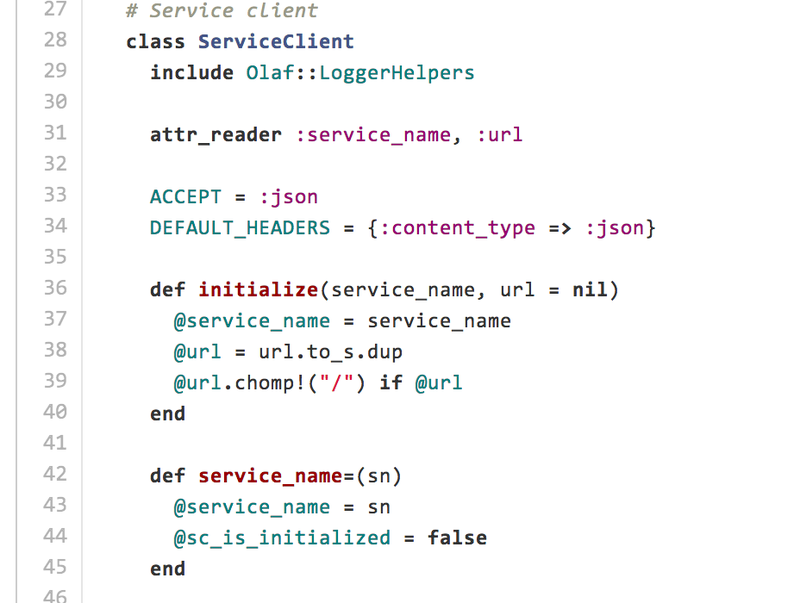 CheapToad, a very simple plugin to turn any Rails project into a HopToad exception server with only a few lines of code! 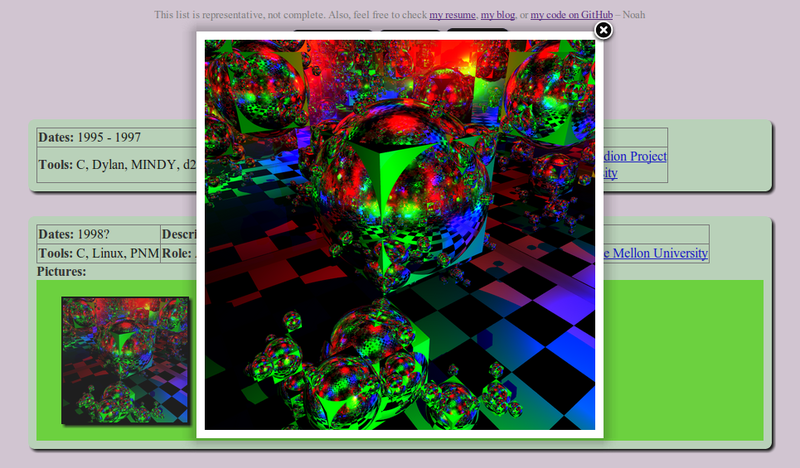 Uses Rails Engines and a gemplugin to make this happen. 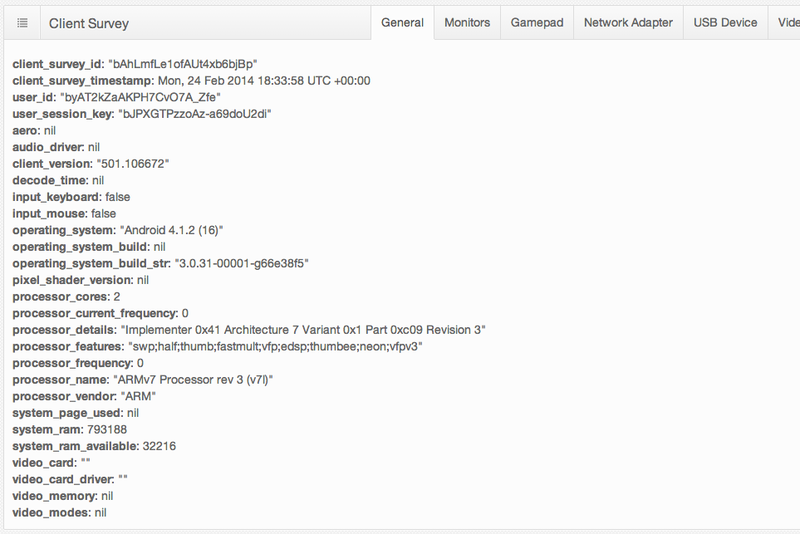 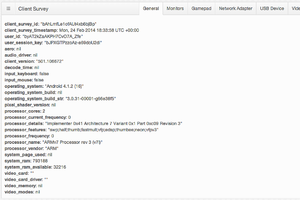 Generates an RSS feed of your app exceptions. 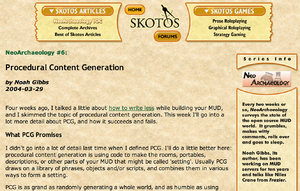 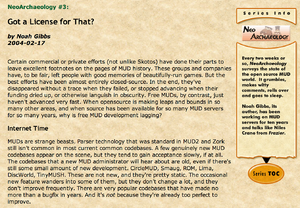 NeoArchaeology was a column I wrote for Skotos back in 2004. one article got SlashDotted, which was gratifying. 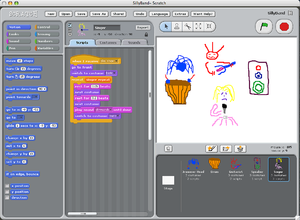 Edited by Shannon Appelcline. 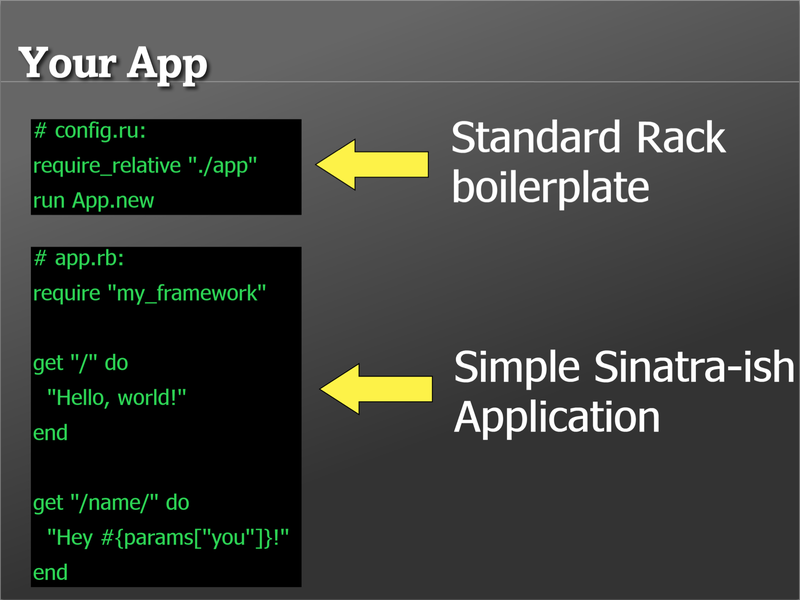 RailsFrame, a deployment framework to set up a virtual Rails server with Vagrant using a specified set of applications and packages. 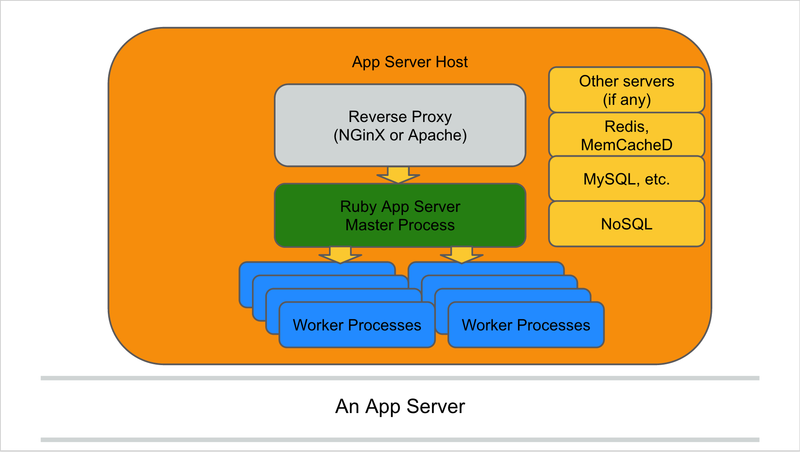 Useful for things like server-push apps that often have extensively dependencies on other processes running at the same time. 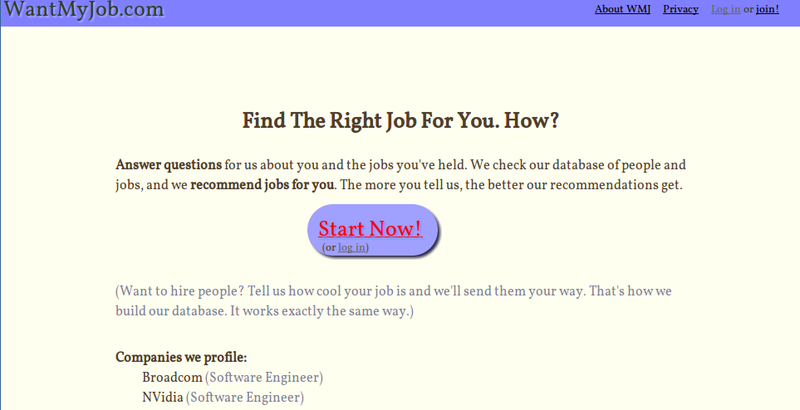 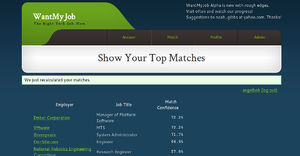 WantMyJob, a web app for trading suggestions about finding good employers. 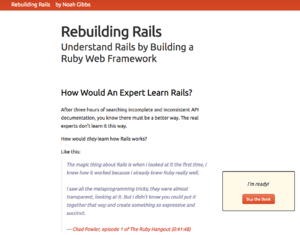 Ruby on Rails. 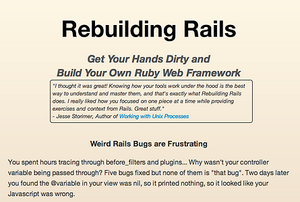 My first significant Rails app, rewritten multiple times as I improved. 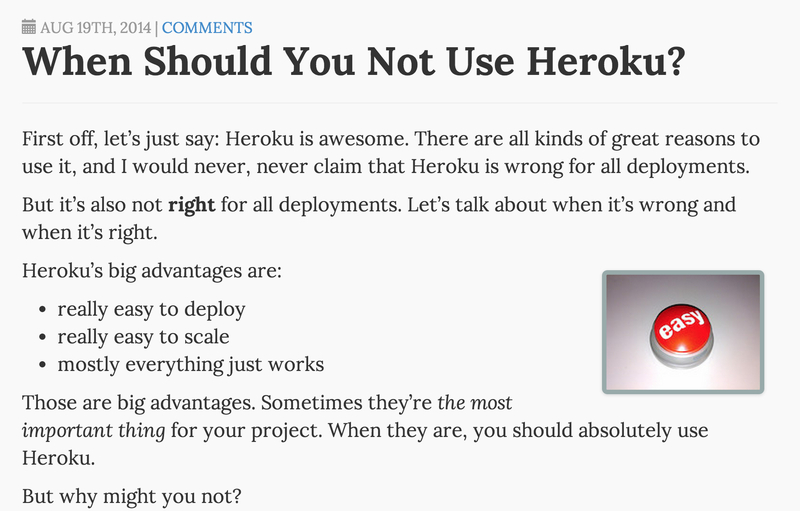 It was useless in practice, but invaluable exercise. 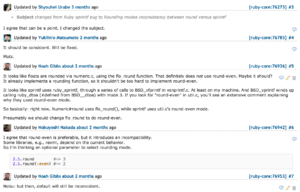 Refactor It, a very simple web app to let users upload snippets of code, and suggest refactorings of other people's snippets. 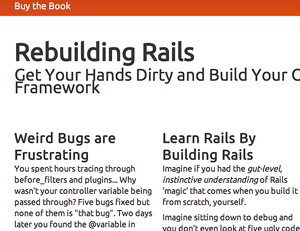 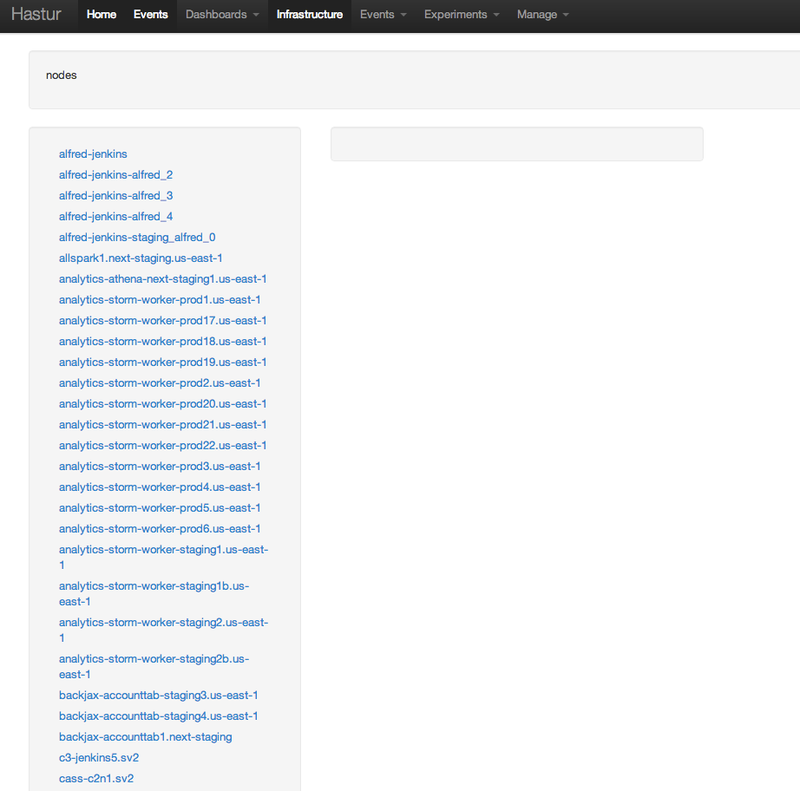 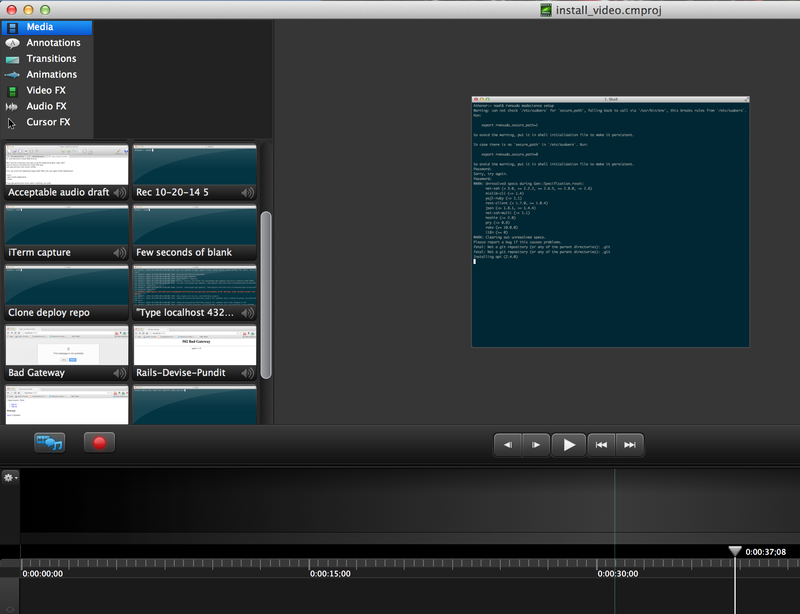 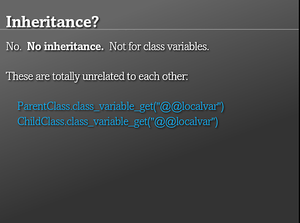 It was also a simple Rails 3 app tutorial with blog post (GitHub repo for tutorial). 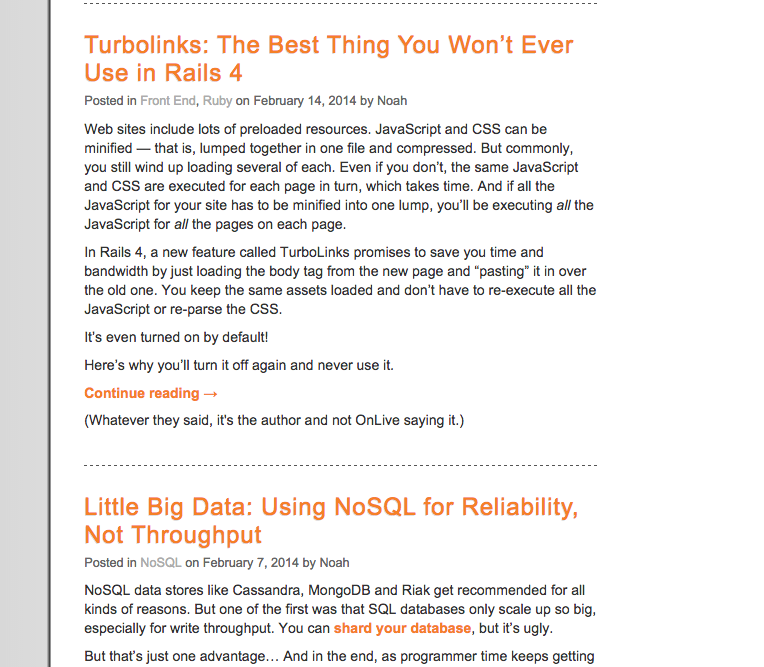 Once called Blog.angelbob.com, (ancient implementation), it was a simple Rails-based blog, from scratch. 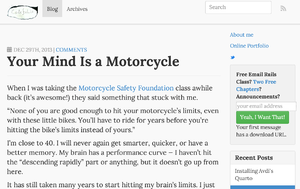 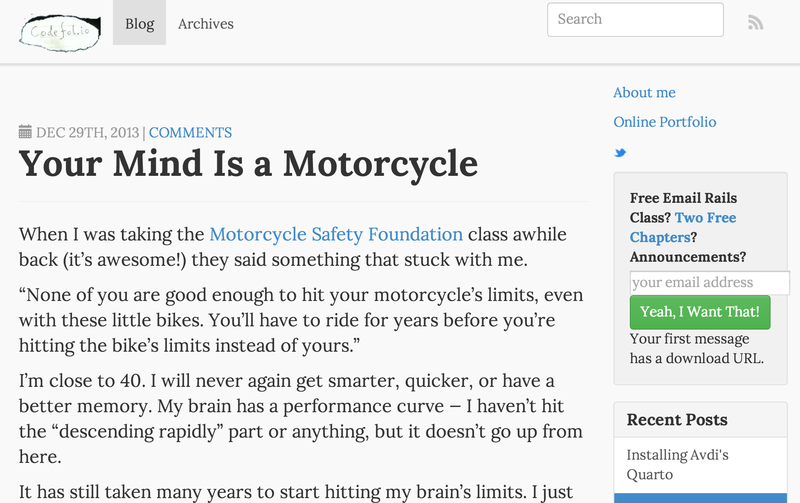 Includes route mappings to translate from ancient WordPress entries, Disqus comments, tags, and other normal blog features. 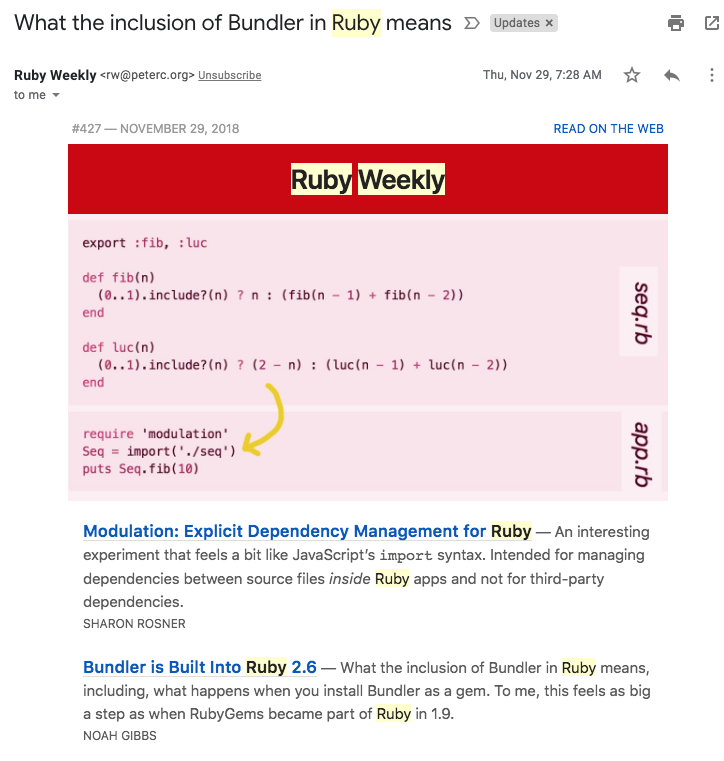 I mention it for content, not codebase. 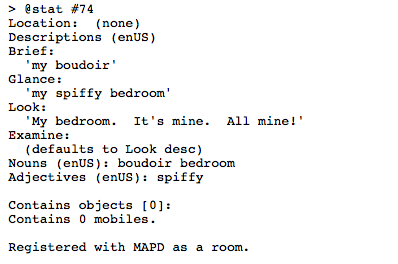 This was some of the first content I carried forward with me, treating it as something important to transition and to preserve. 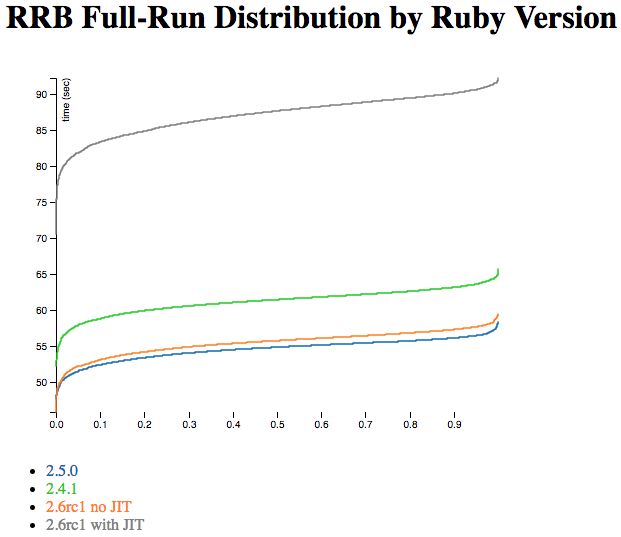 DiffEQ RubyGem. 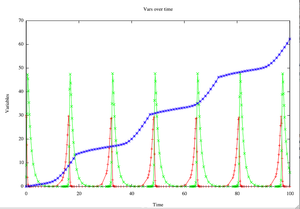 Symbolic manipulation, numerical integration, basic graphing of Ordinary Differential Equations. 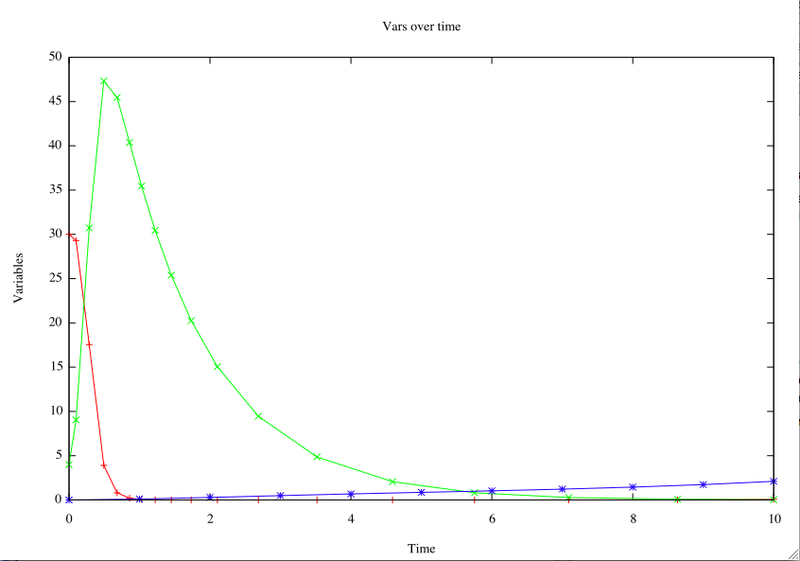 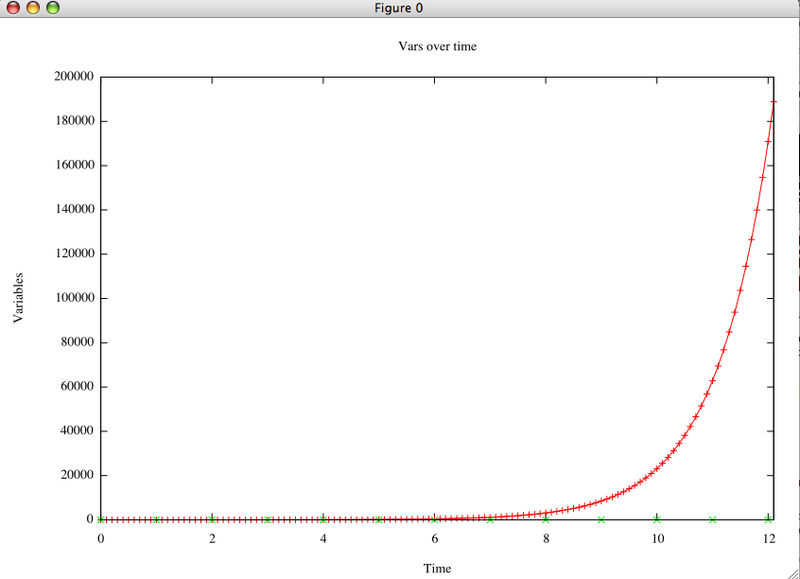 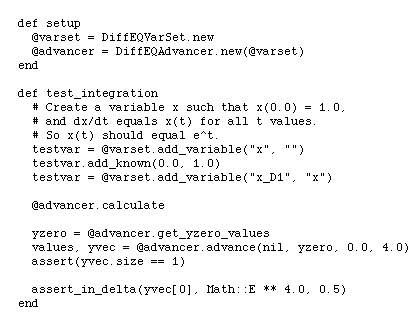 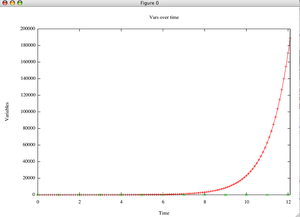 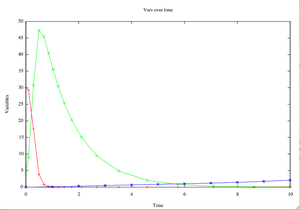 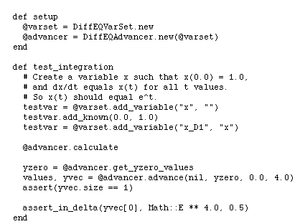 Includes its own simple algebra package and GNUplot output. 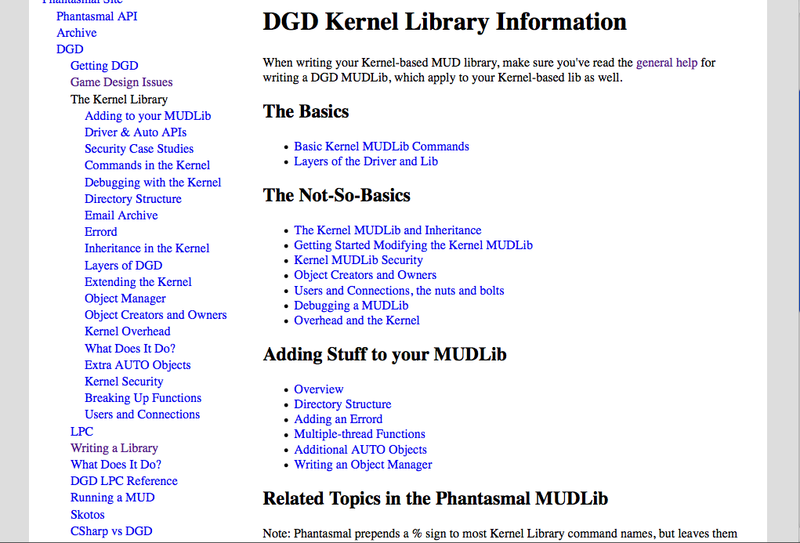 Phantasmal MUDLib for DGD. 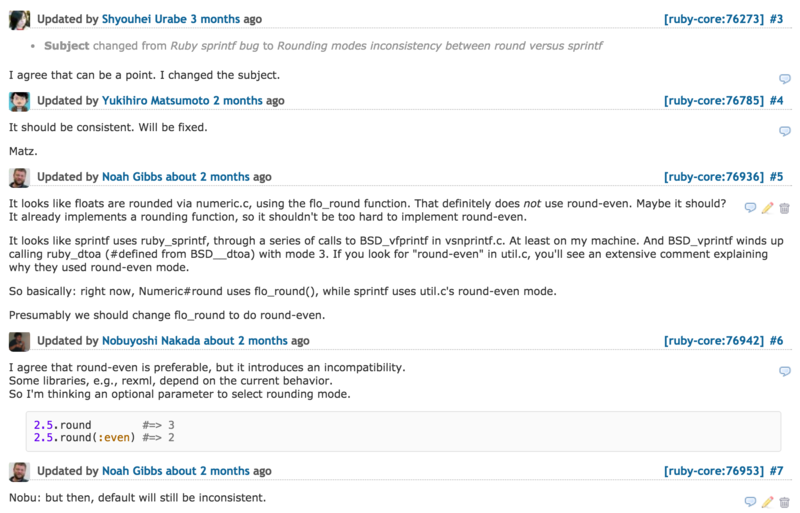 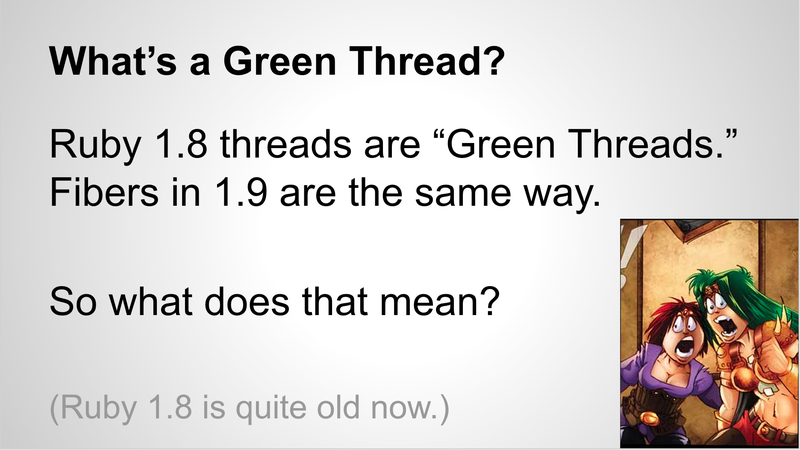 I was the initial and primary author, primary maintainer until 2008. 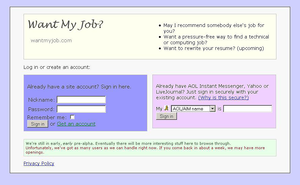 I handed off control in 2008, but it was never successful enough to have a user base. 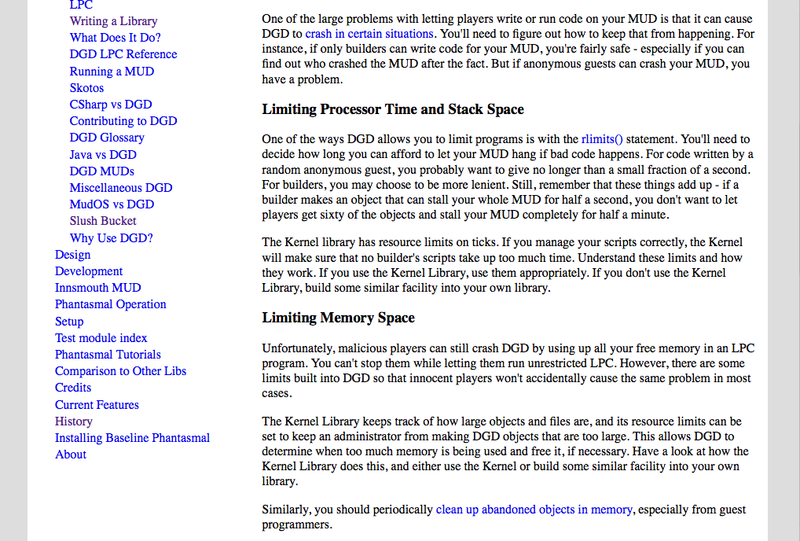 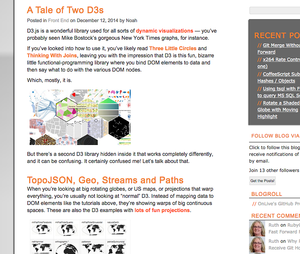 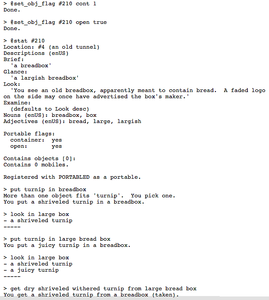 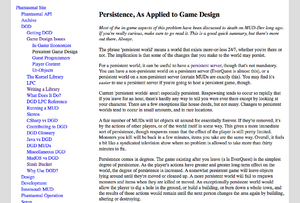 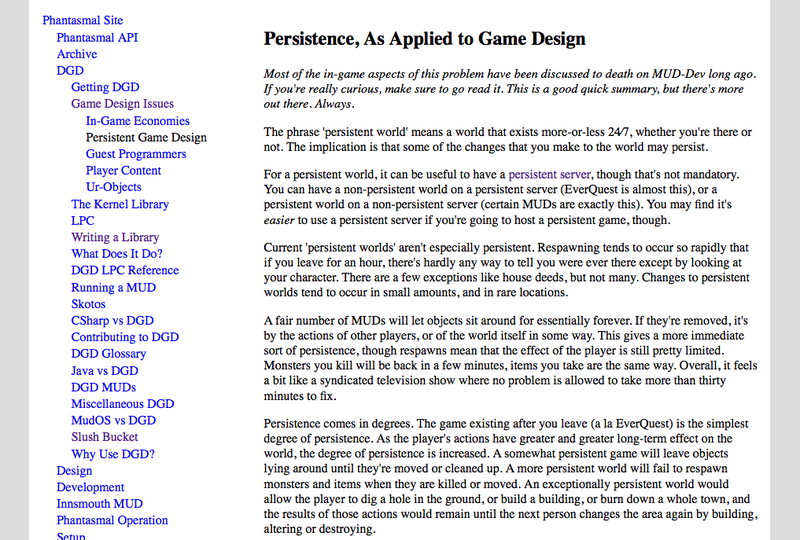 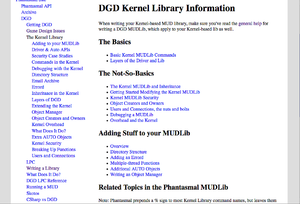 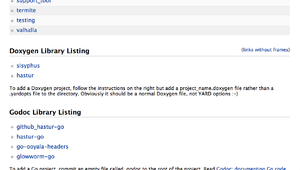 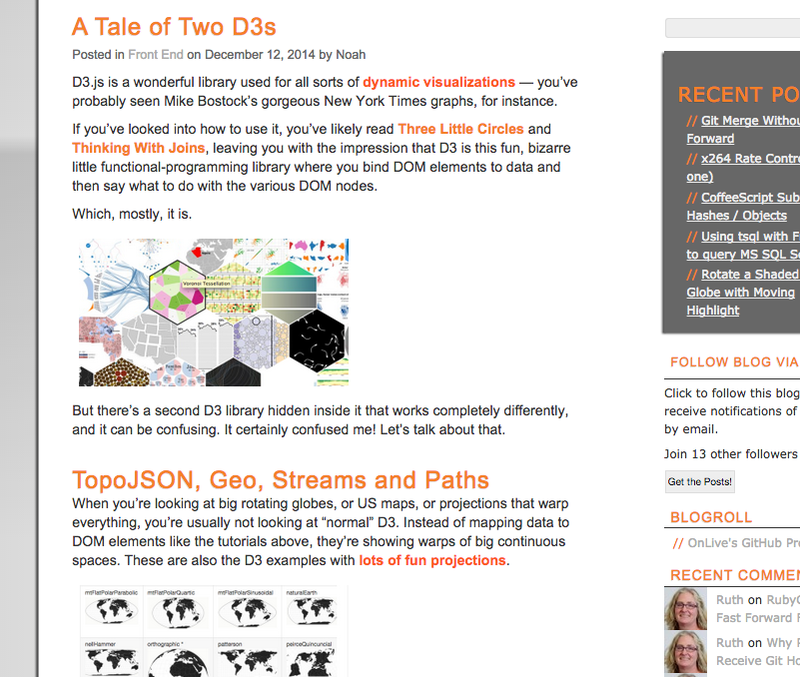 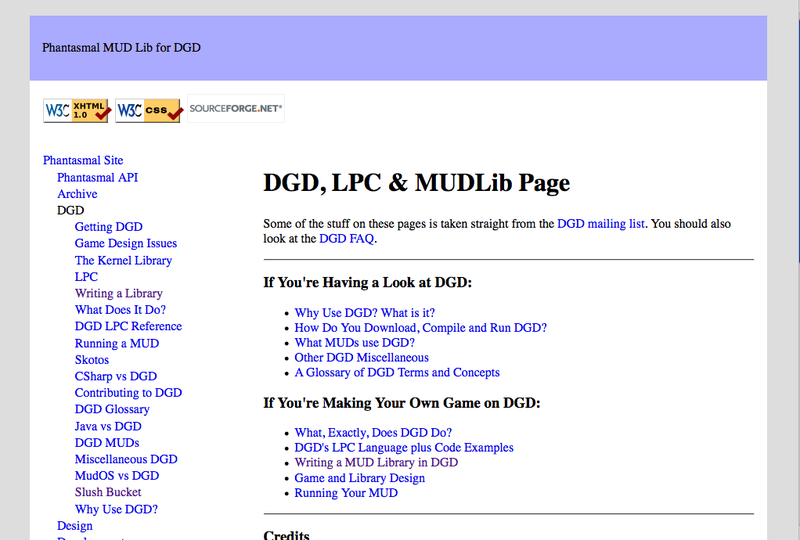 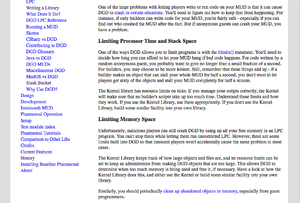 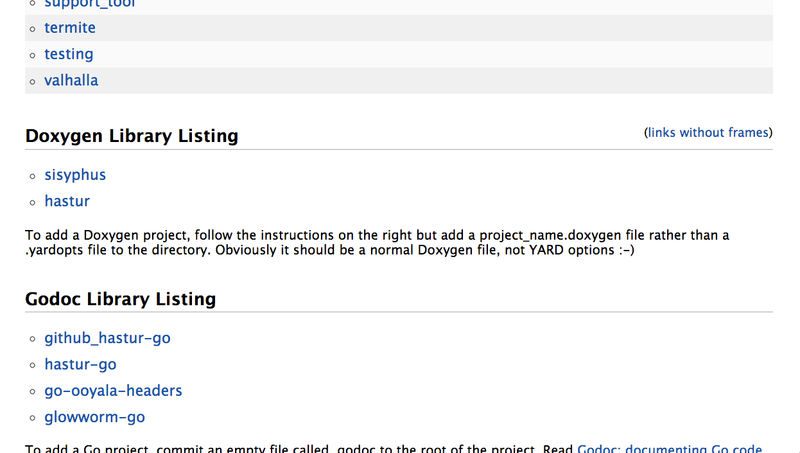 I wrote the first significant documentation site for the DGD programming language. 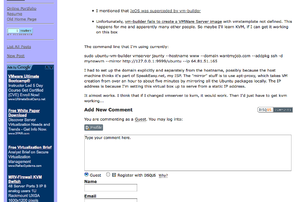 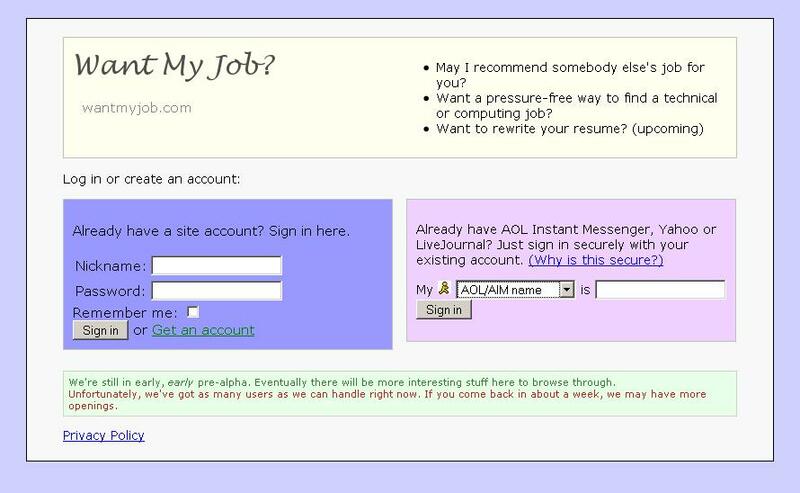 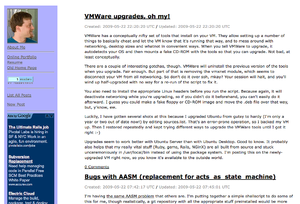 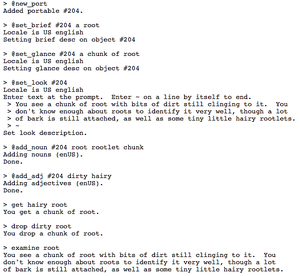 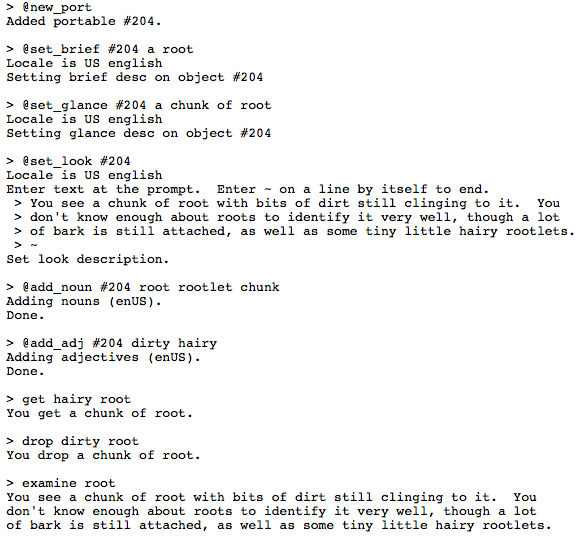 There was a many-years-old mailing list, which I organized into a site with Perl-scripts and HTML. 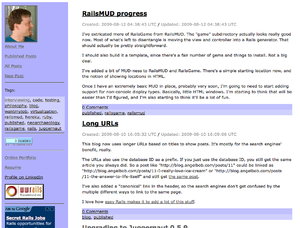 I handed off control of the site in 2008, and it seems to be offline these days. Maslow, a trivial needs-based AI for evaluating actions and predicting futures. 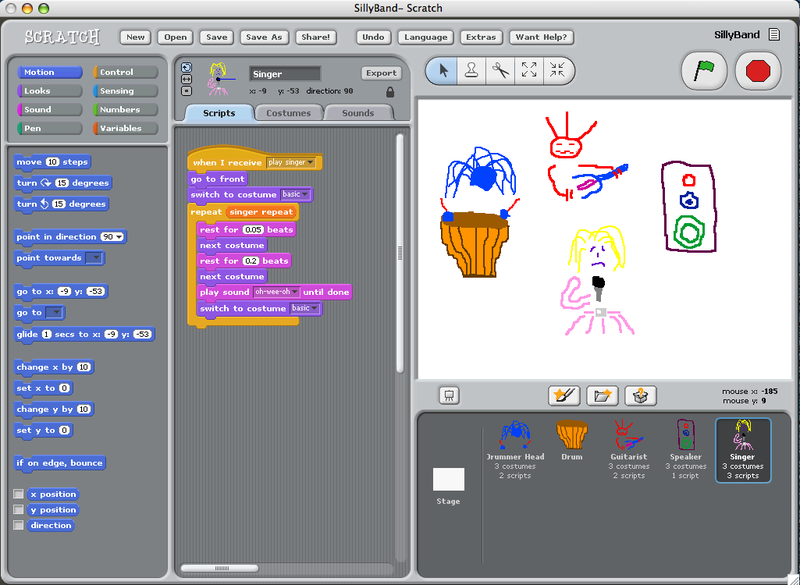 SillyBand, a very quick demo project for MIT's Scratch. 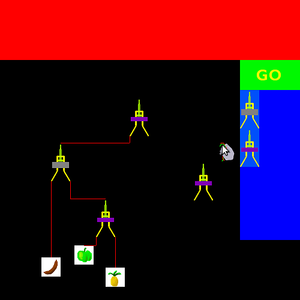 All media made by me, very, very quickly.